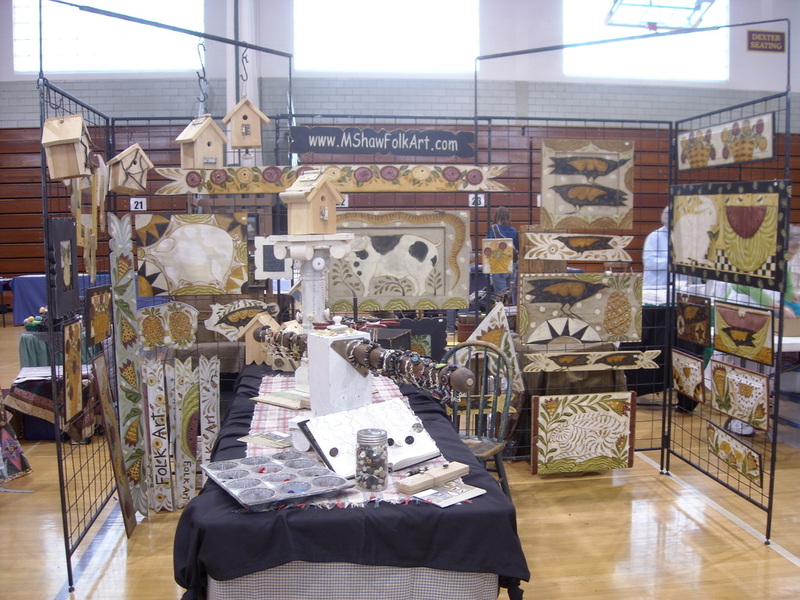 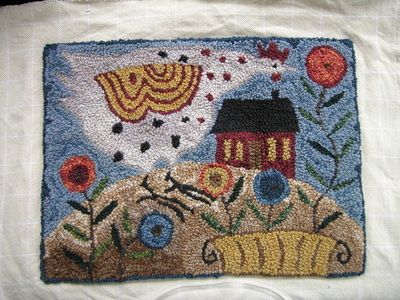 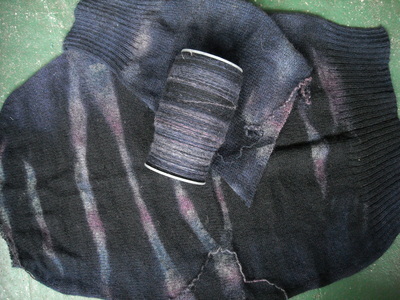 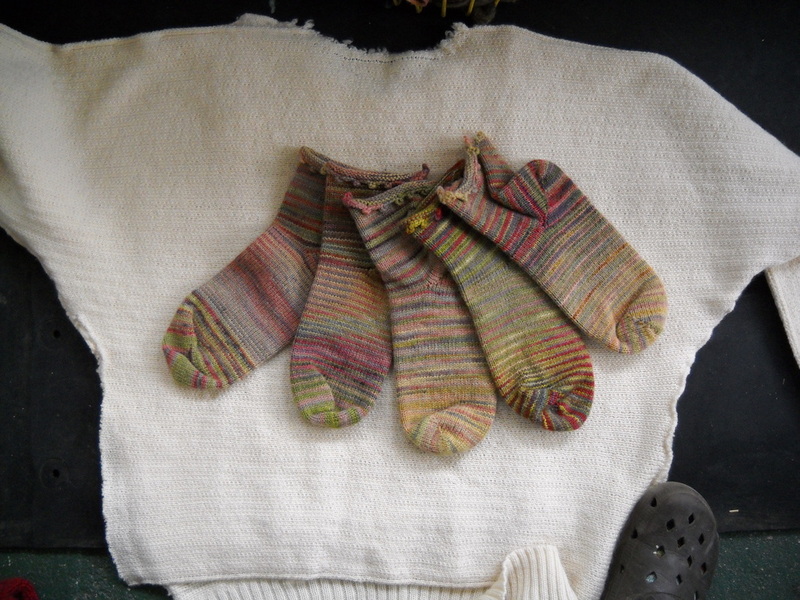 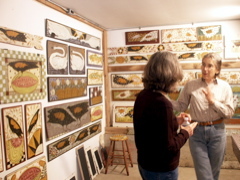 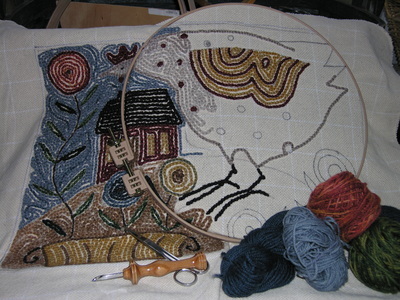 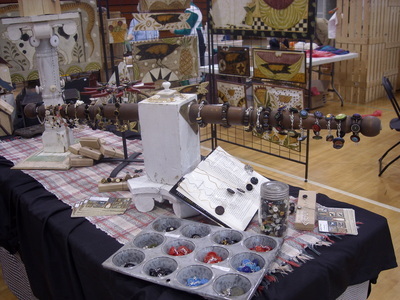 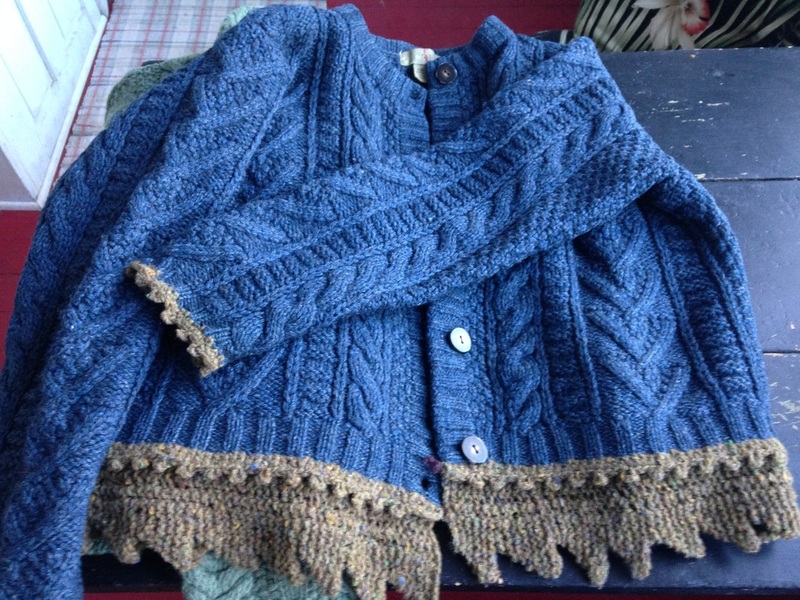 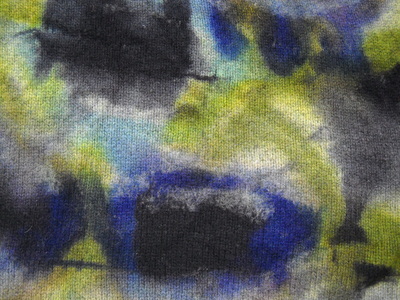 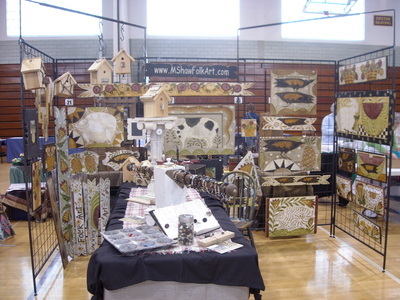 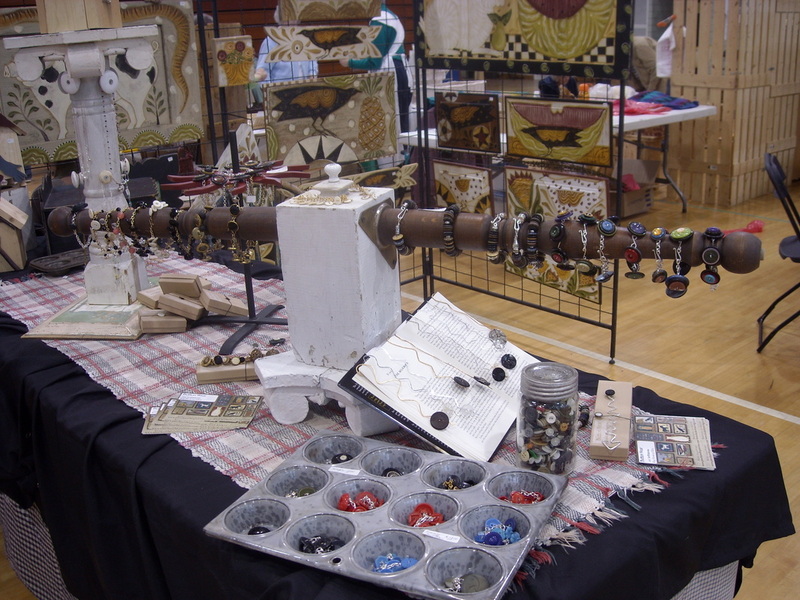 Gallery images of M Shaw's "dOings"
thrifted sweater embellished with reclaimed yarn. 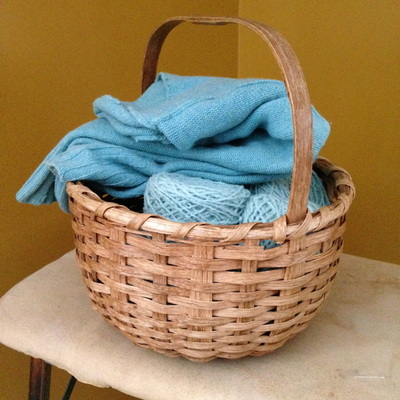 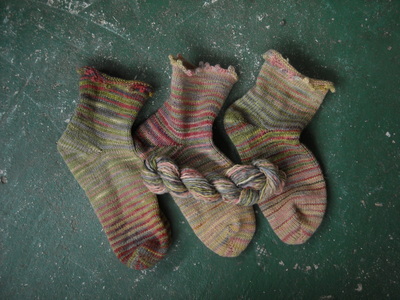 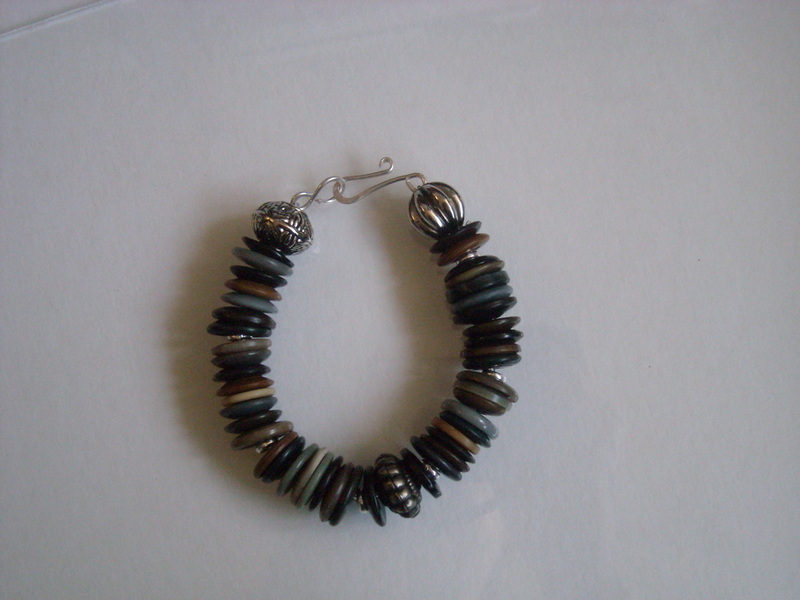 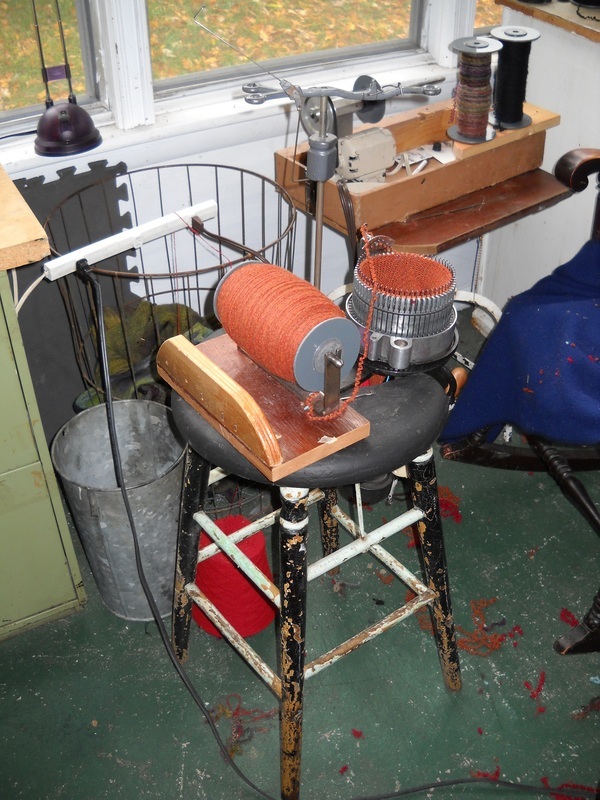 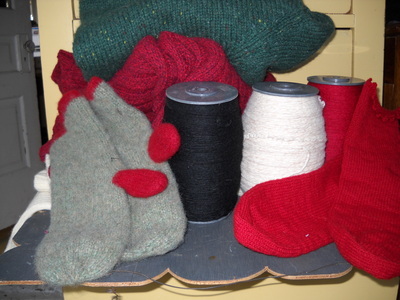 reclaimed wool yarn from turquoise sweaters. 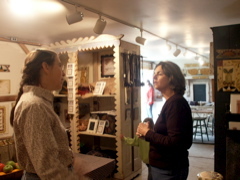 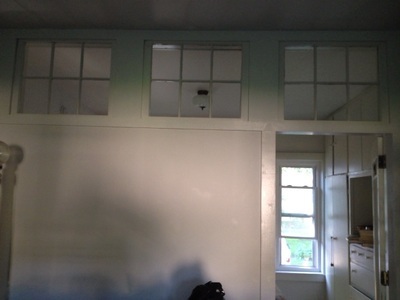 interior of 610, new wall made with old farm windows and glass pane door. 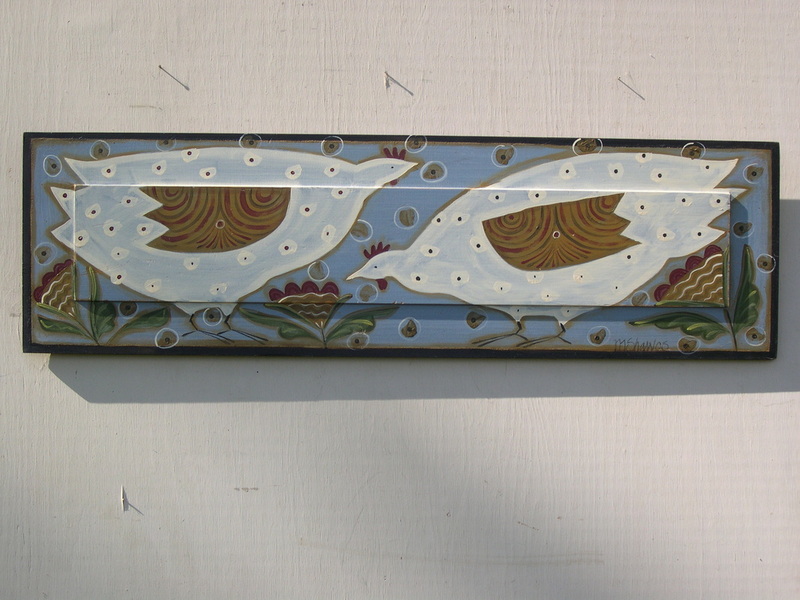 Lets light in and provides an open feeling. 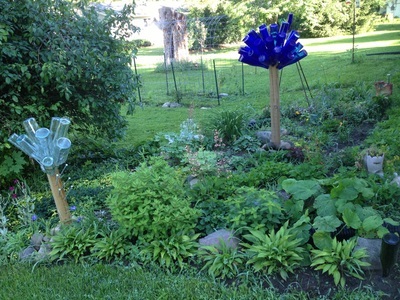 Had help, did some of it. 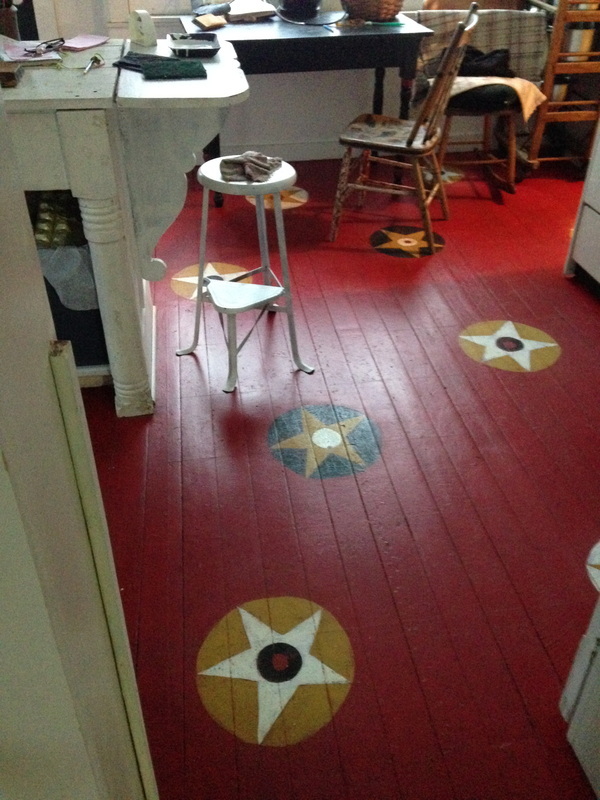 painted wood floor in kitchen. 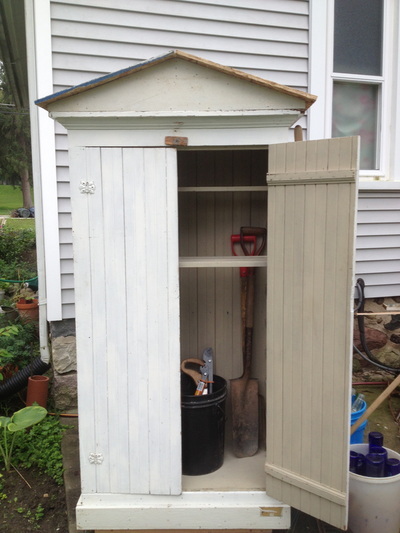 garden tool shed made from old cupboard. 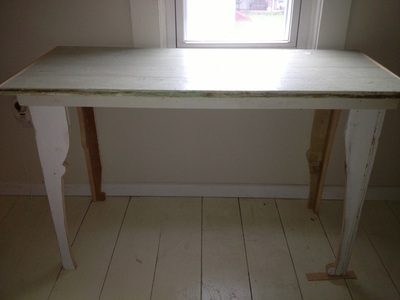 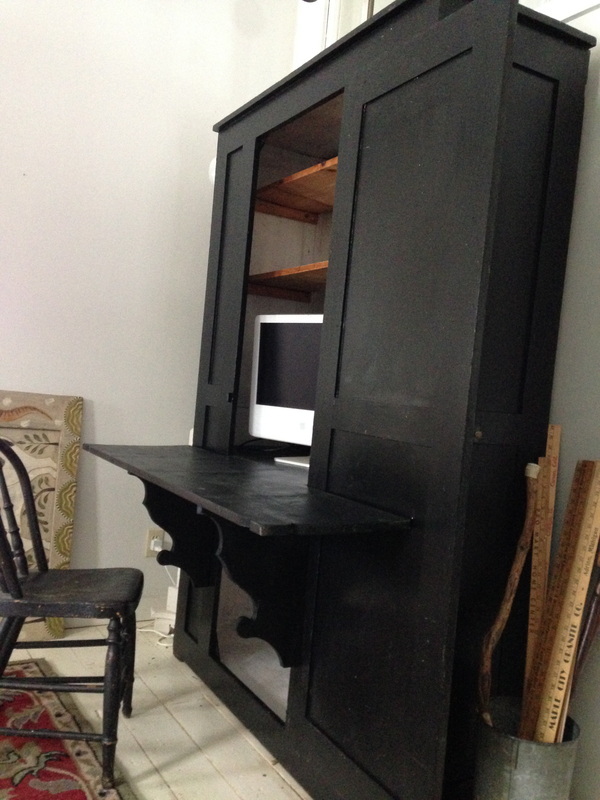 desk made from plank door and old wood boards. 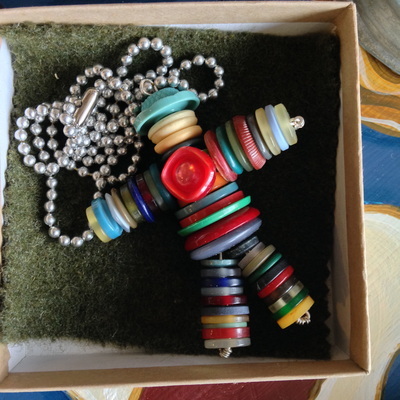 button person wired up from old buttons. 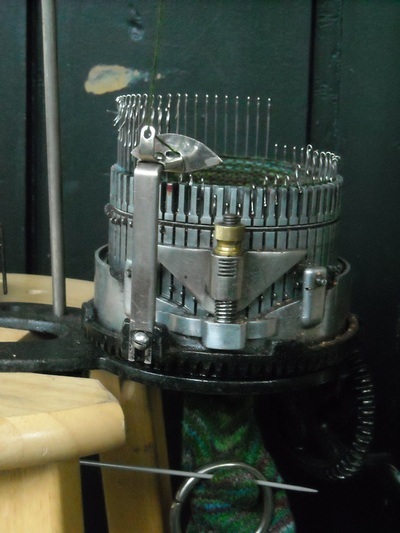 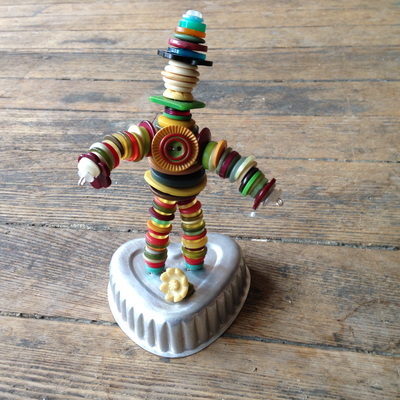 Button person mounted on old jello mold, wired from old button collection. 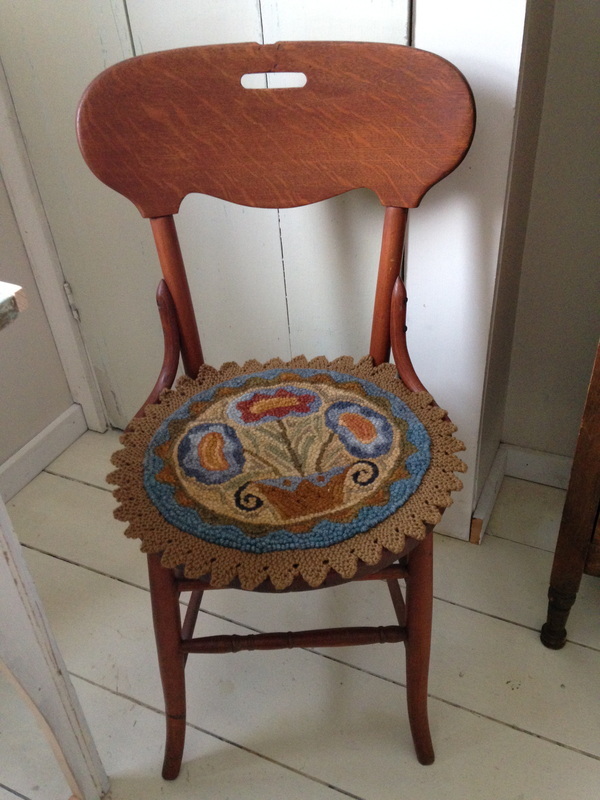 Rug punched chair pad I designed and punched, knit edging. 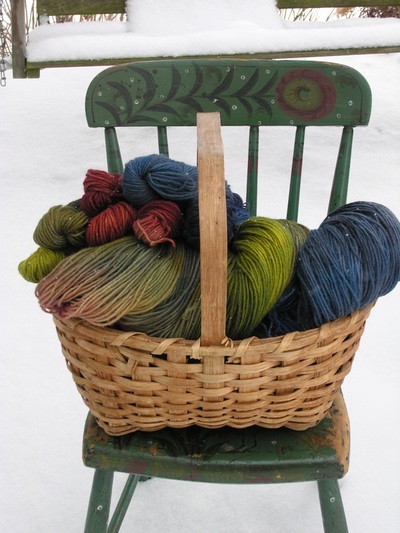 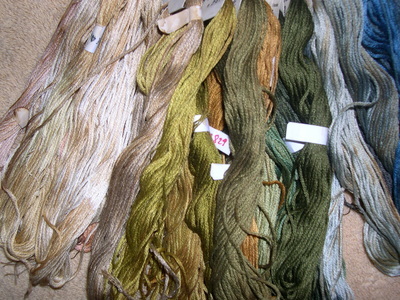 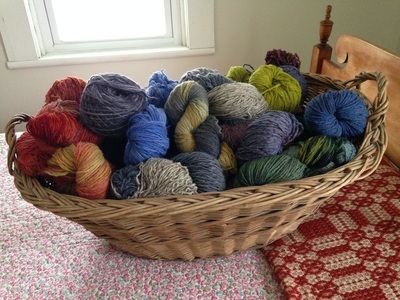 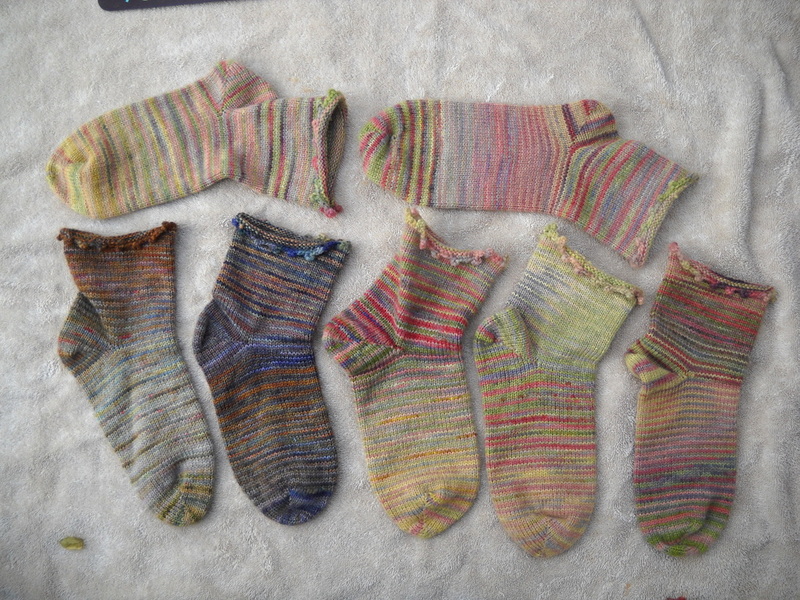 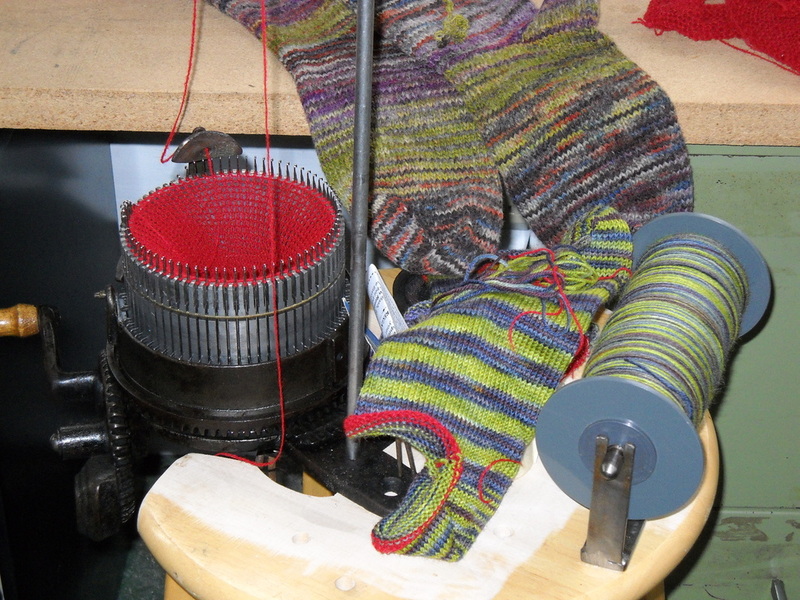 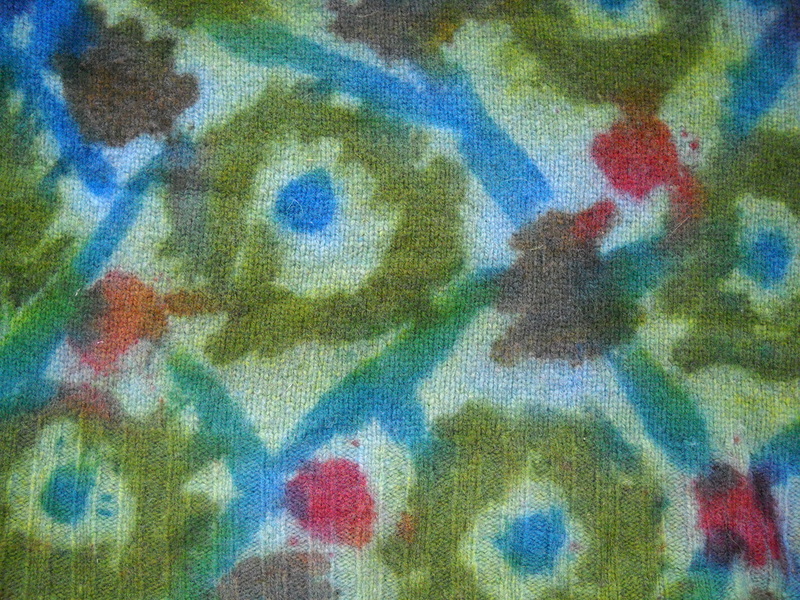 hand dyed and painted reclaimed wool yarn. 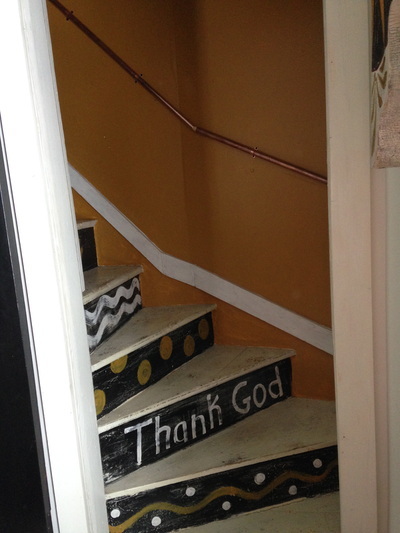 painted stair way at 610, note copper pipe stair railing. 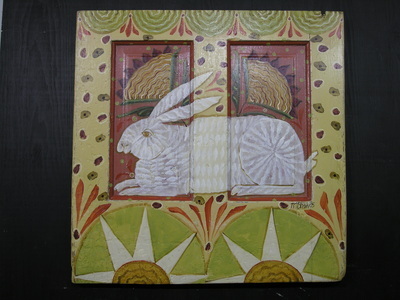 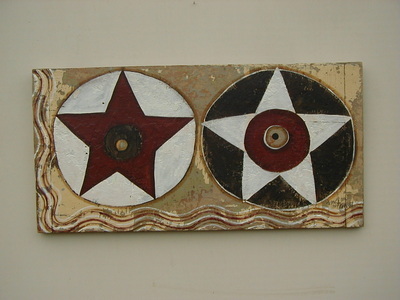 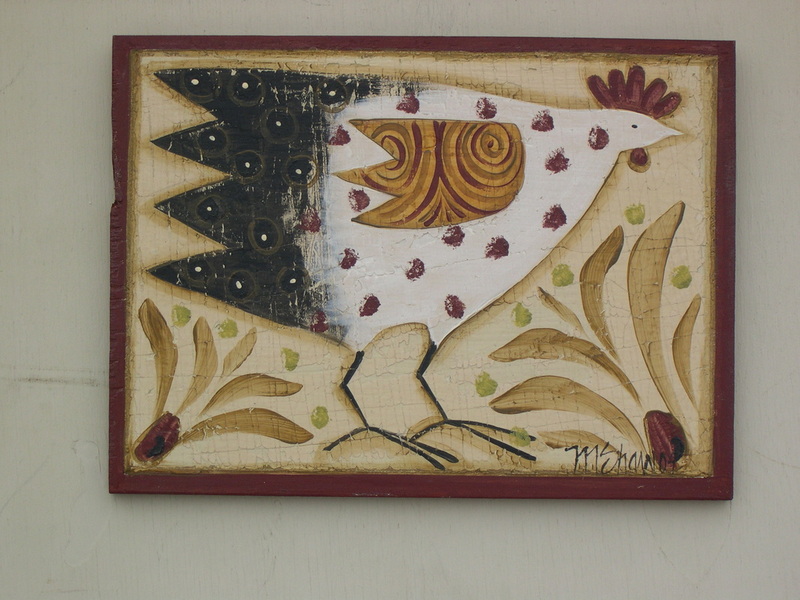 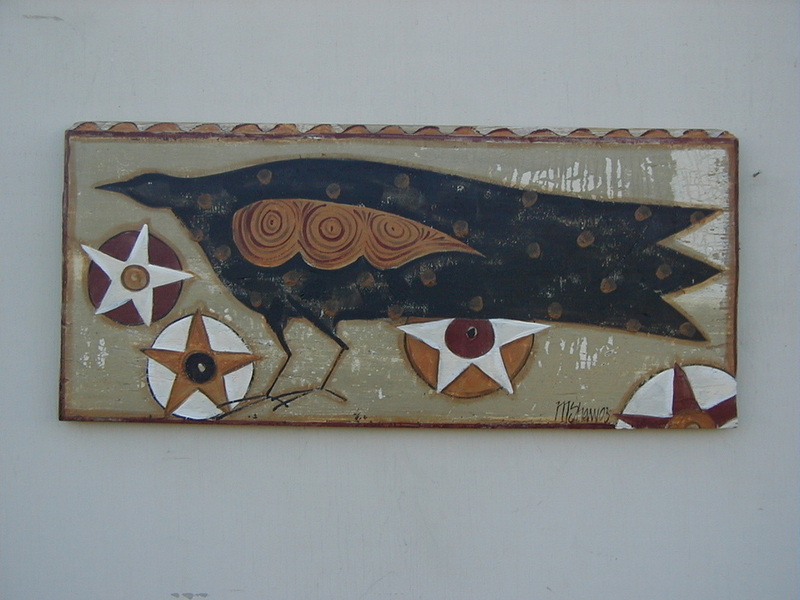 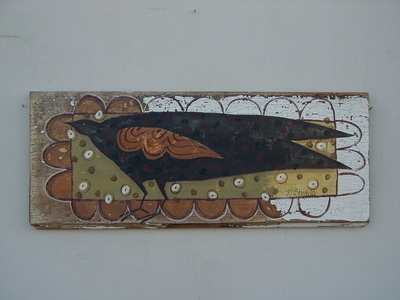 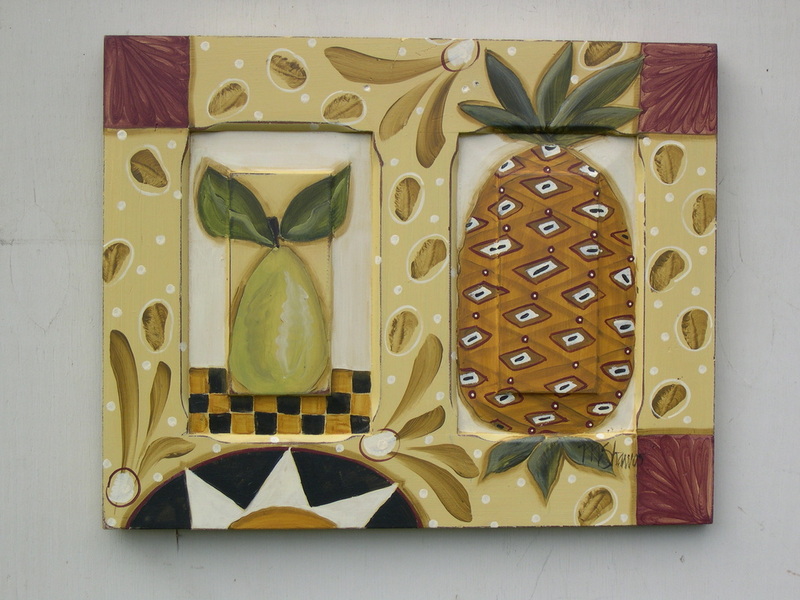 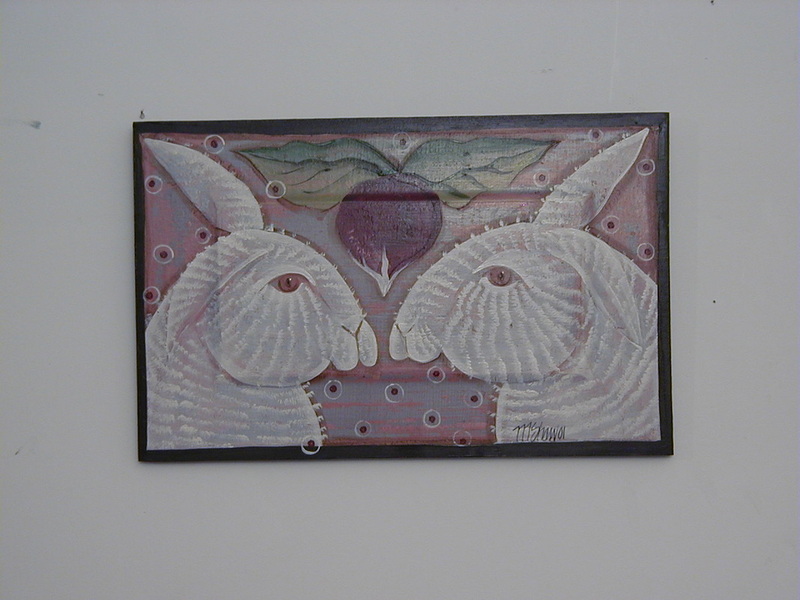 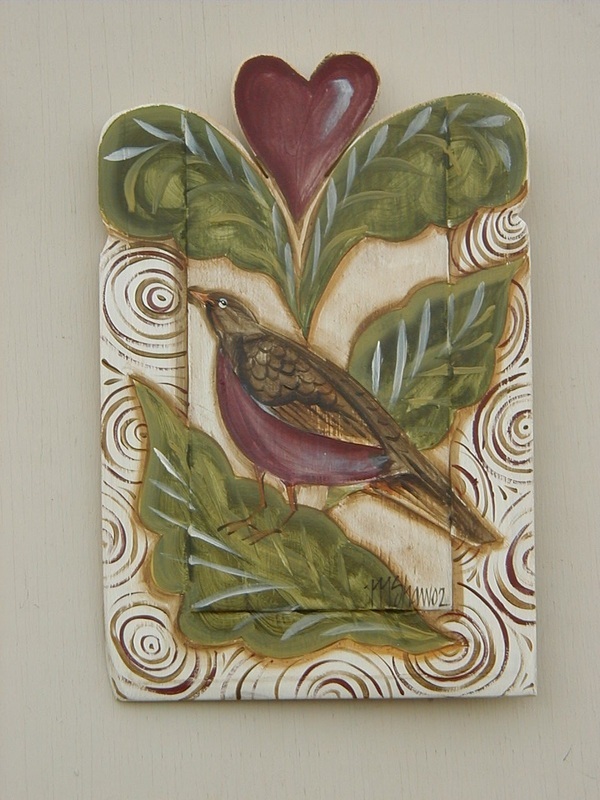 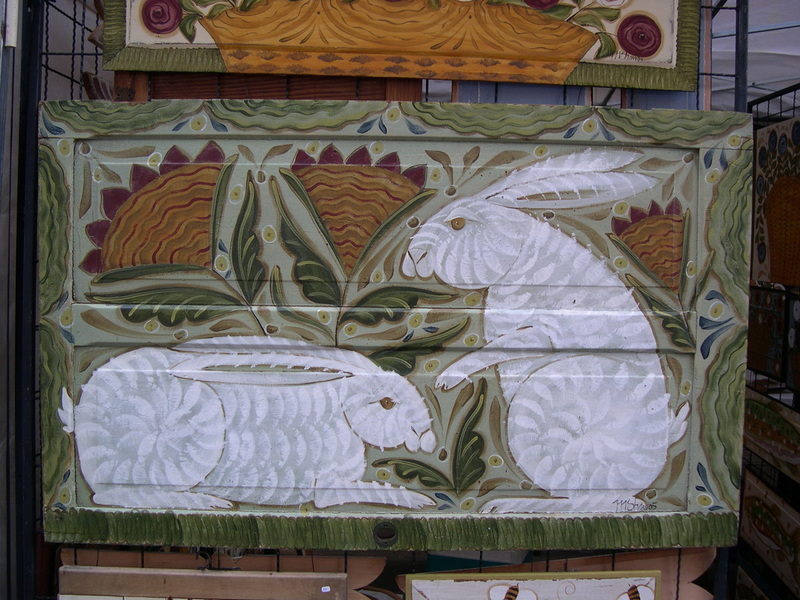 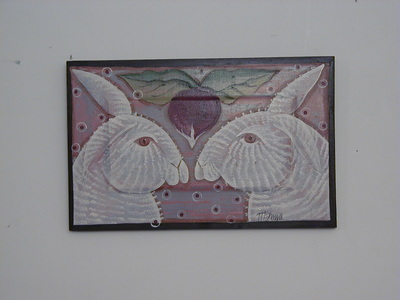 M Shaw painting on old door panel. 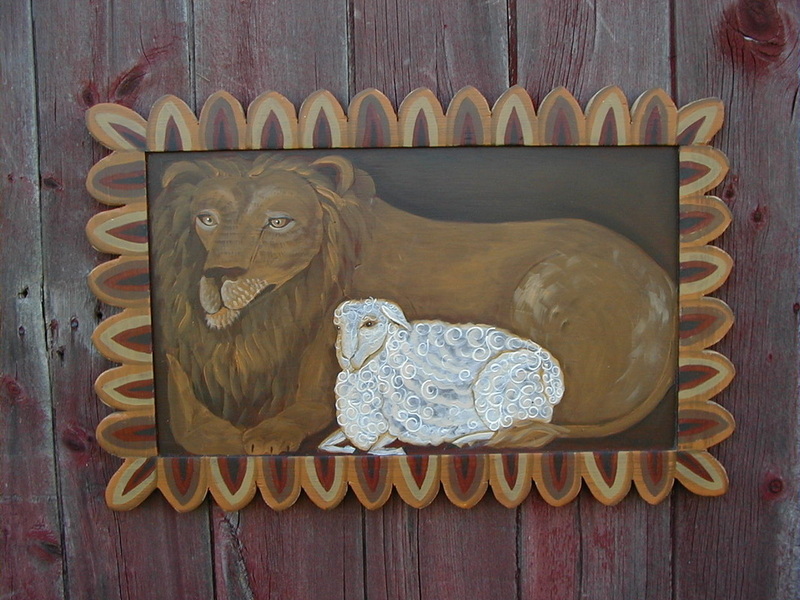 M Shaw painting on old door painting. 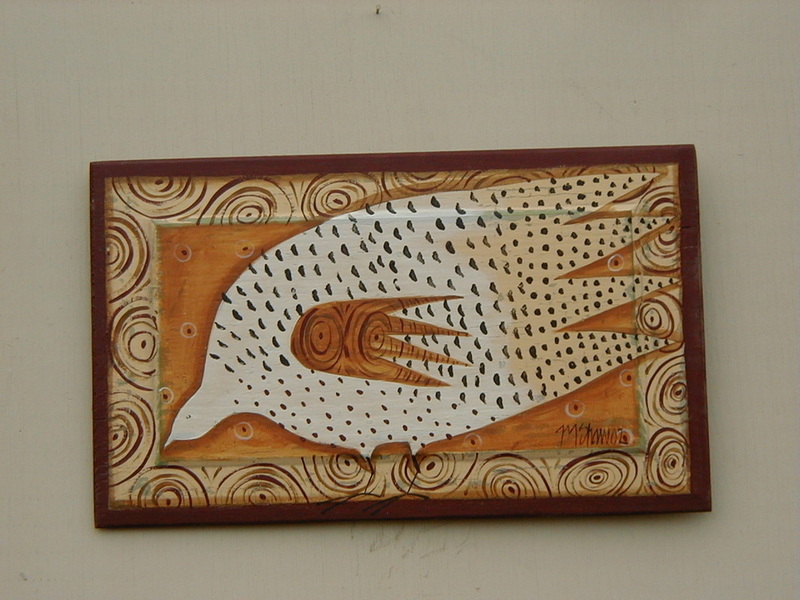 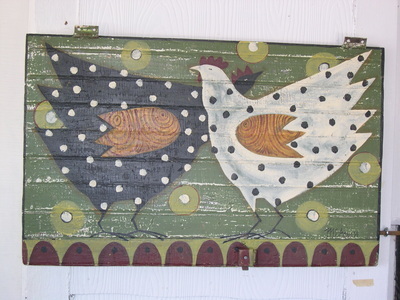 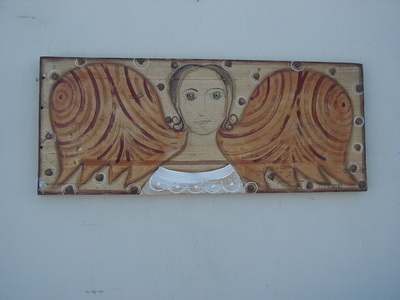 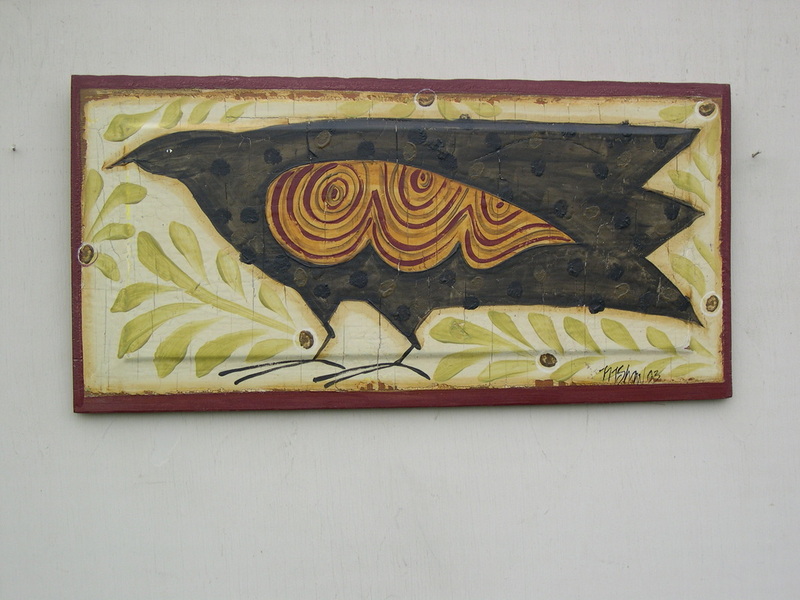 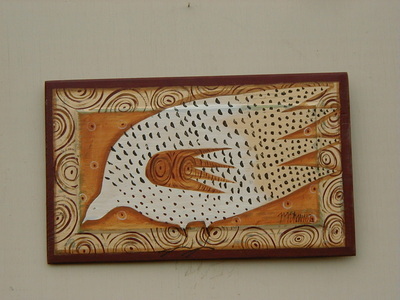 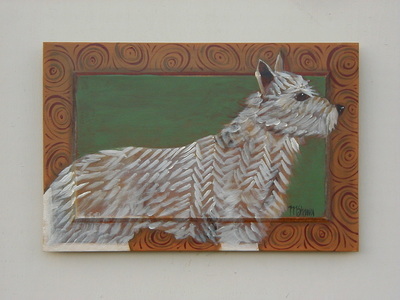 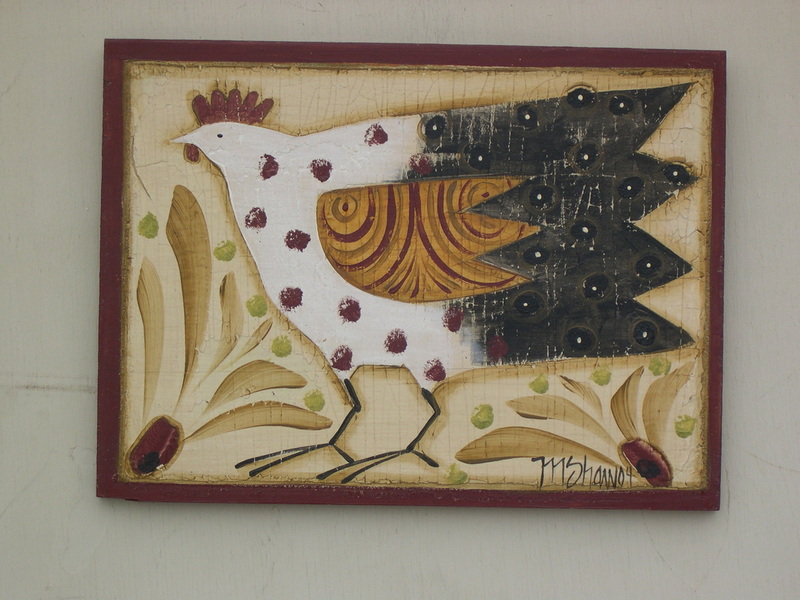 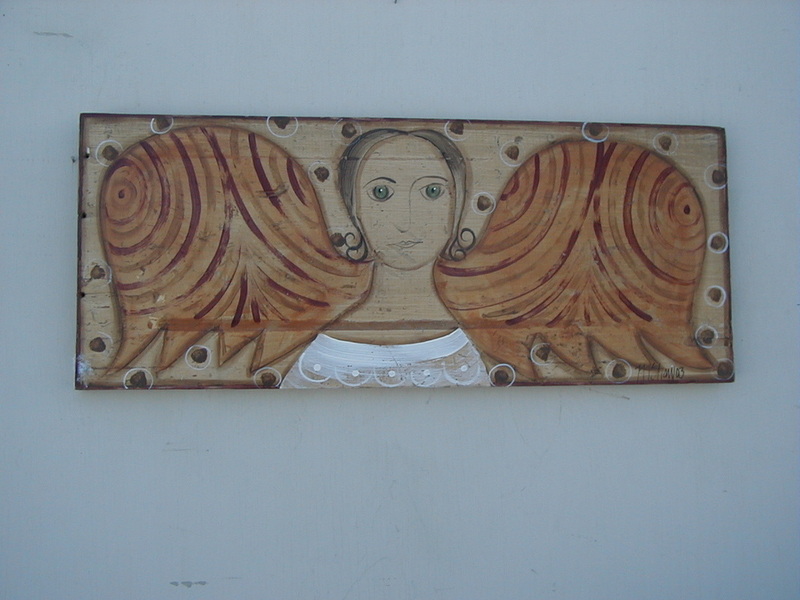 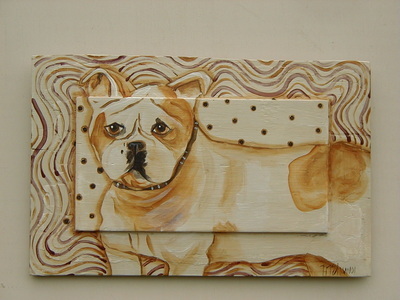 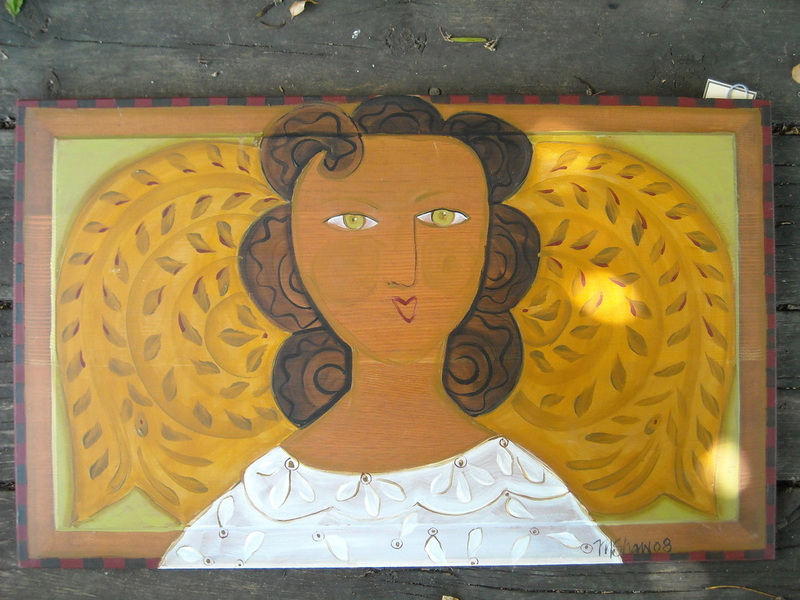 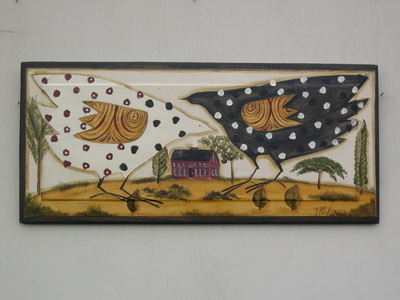 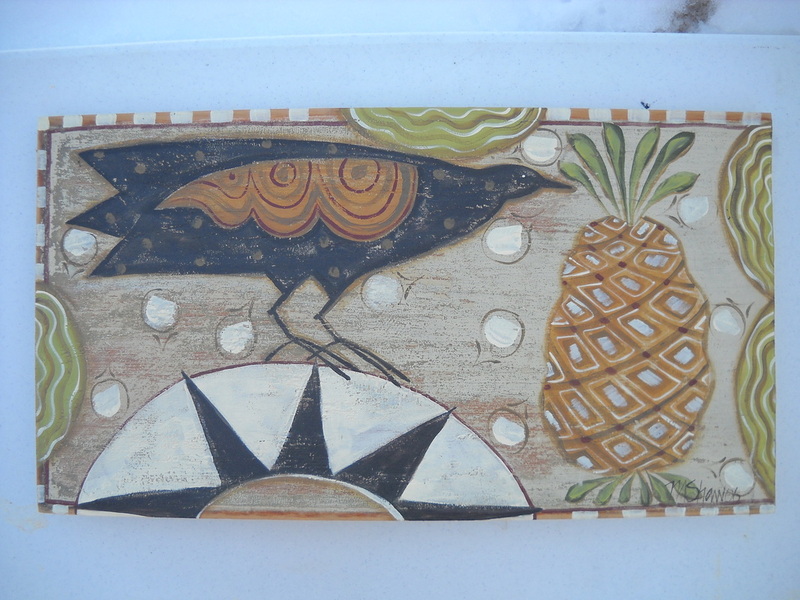 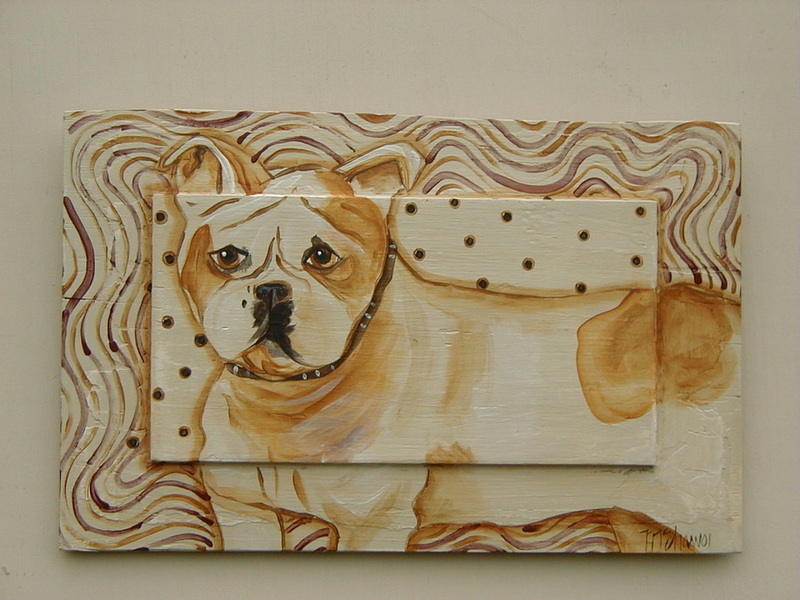 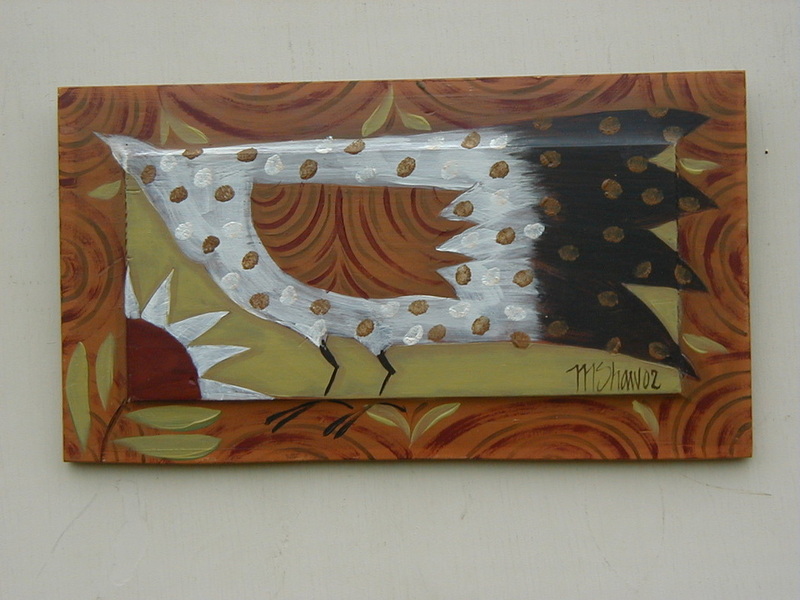 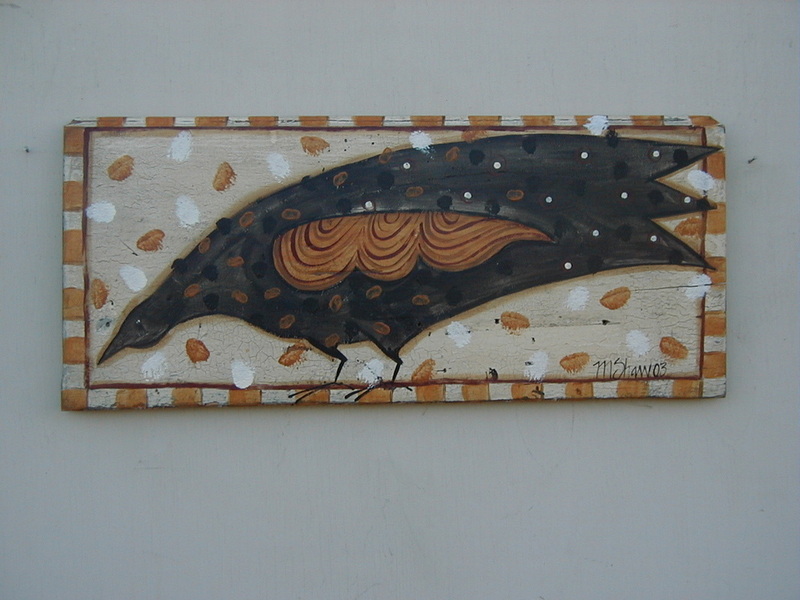 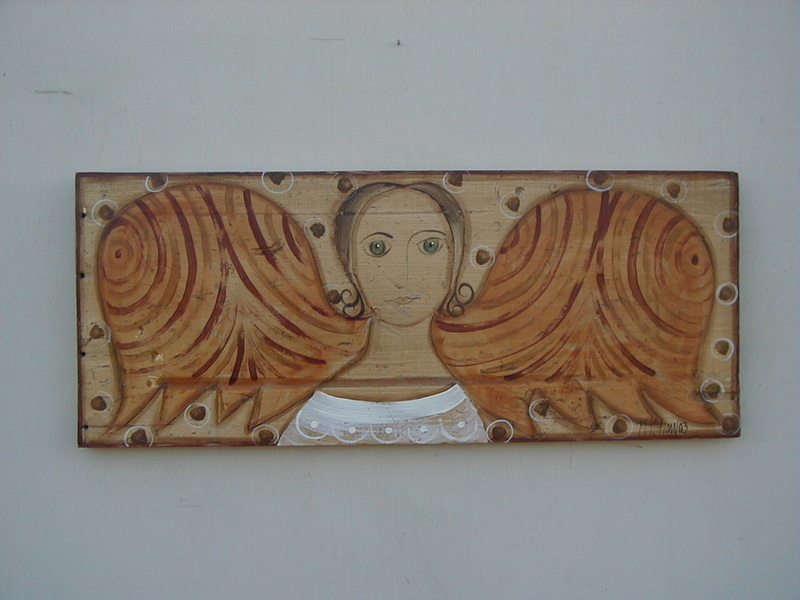 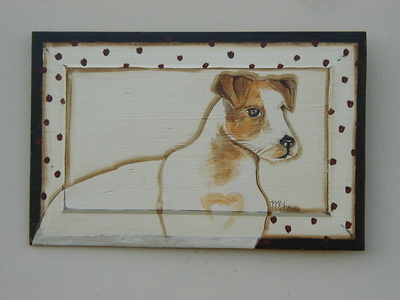 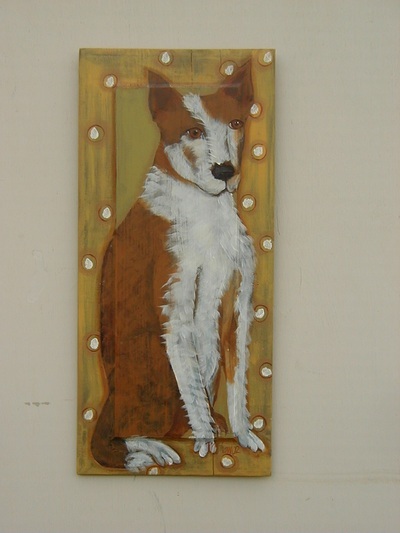 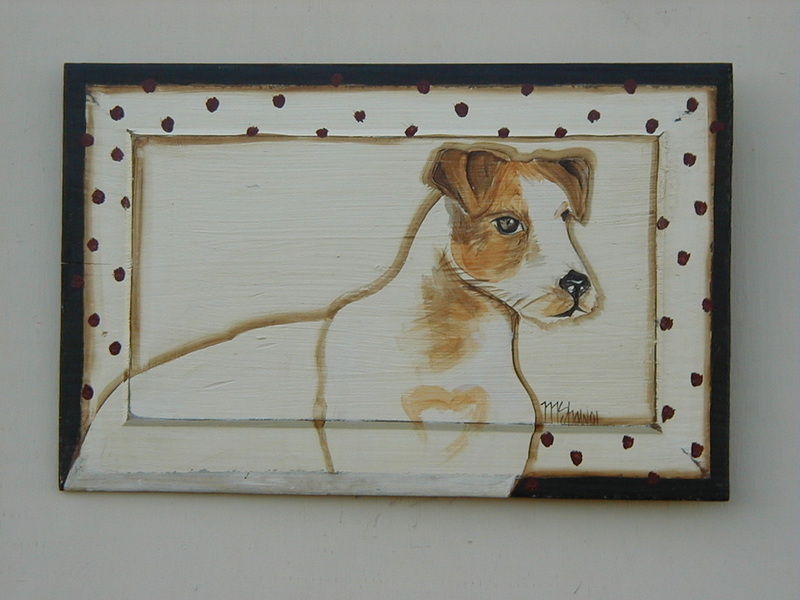 M Shaw painting on old plank board. 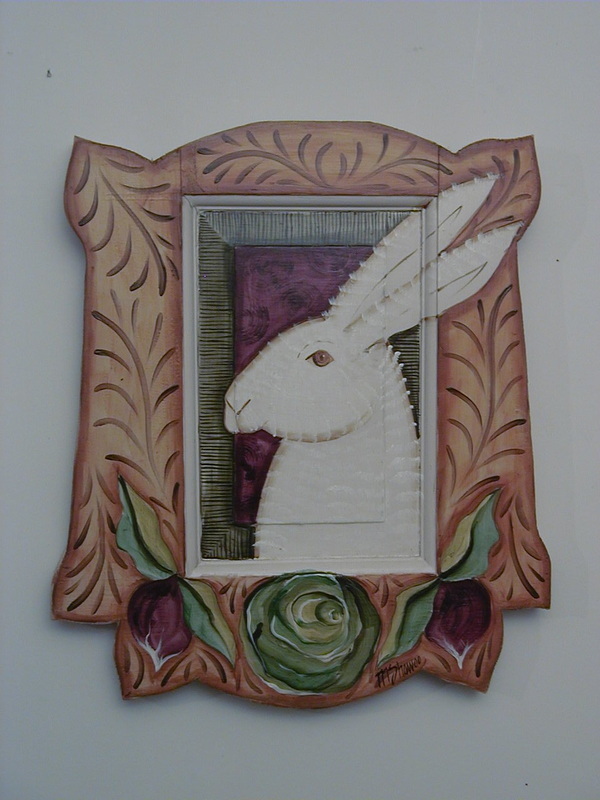 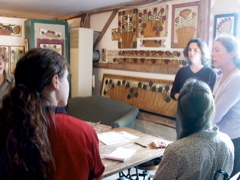 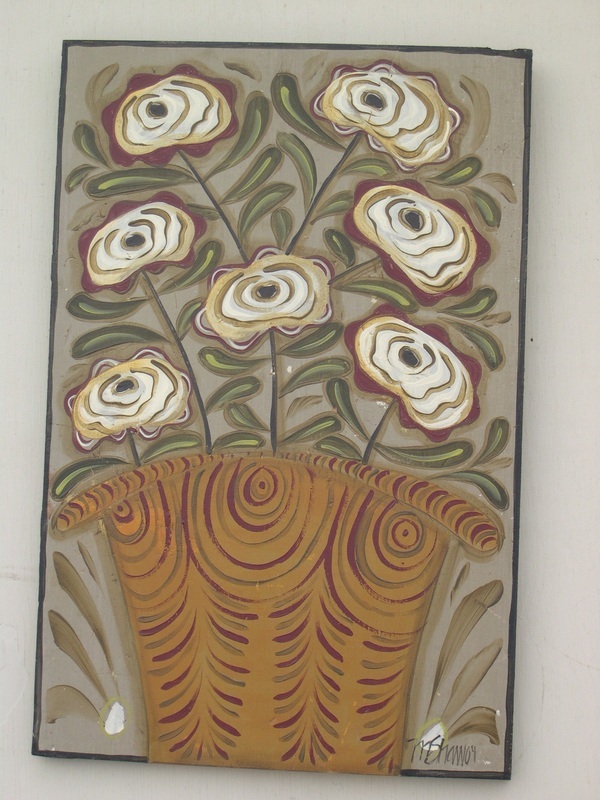 Rufus Porter style screen made from hollow care doors, designed and painted by M Shaw. 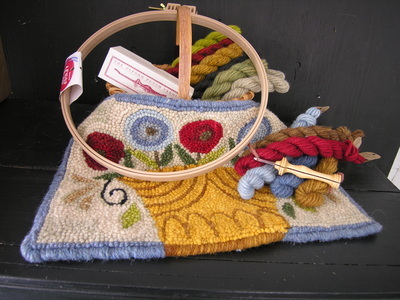 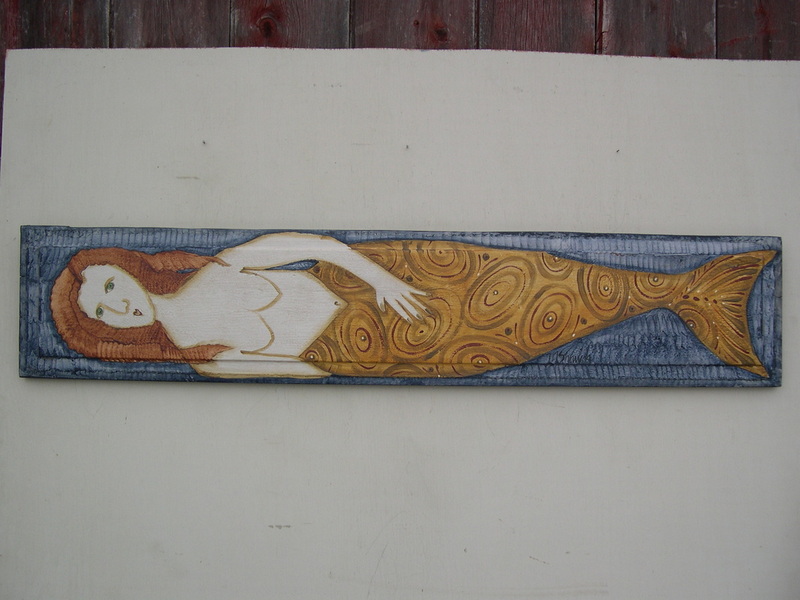 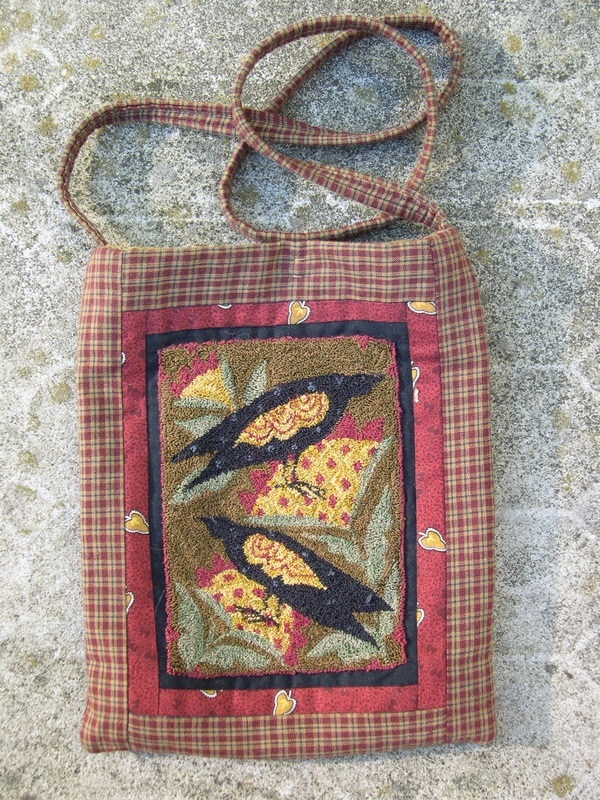 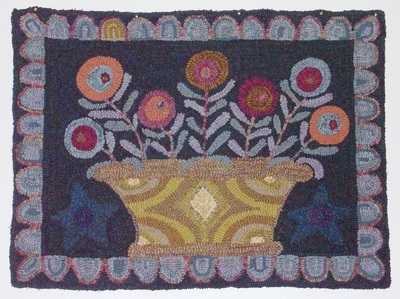 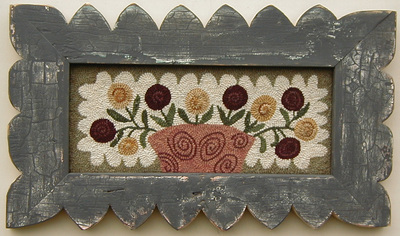 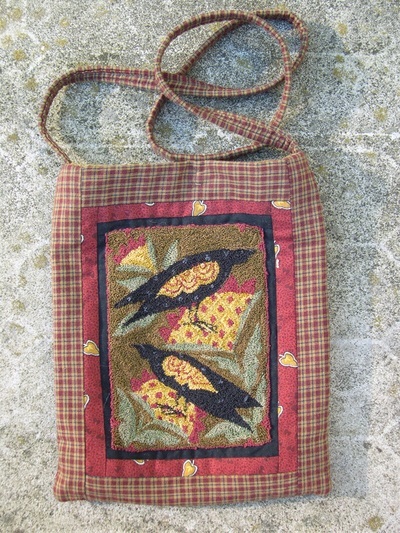 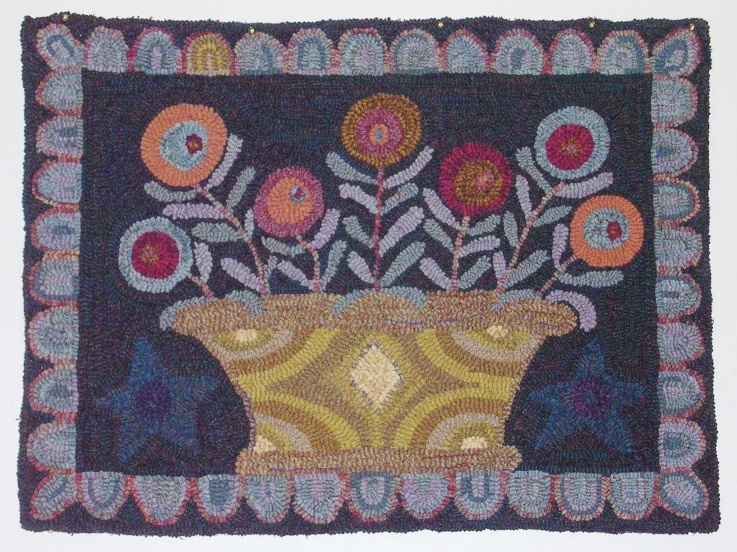 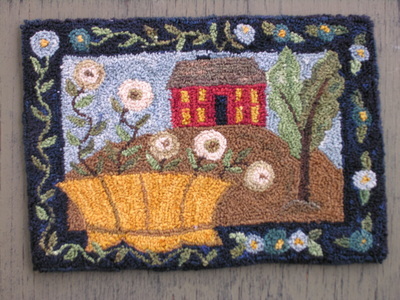 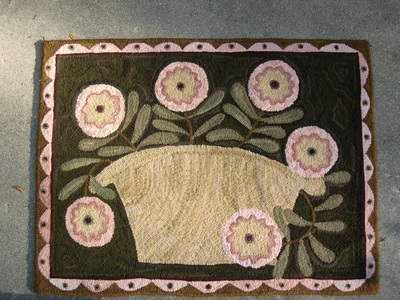 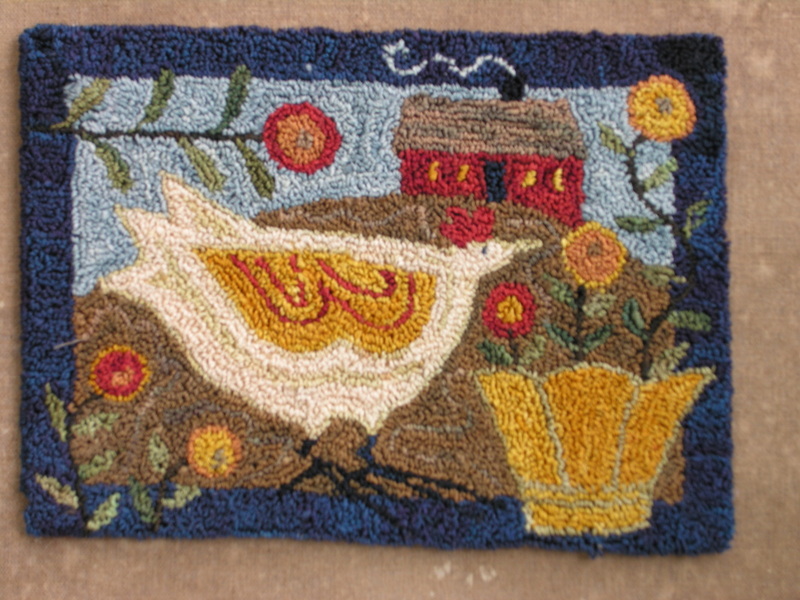 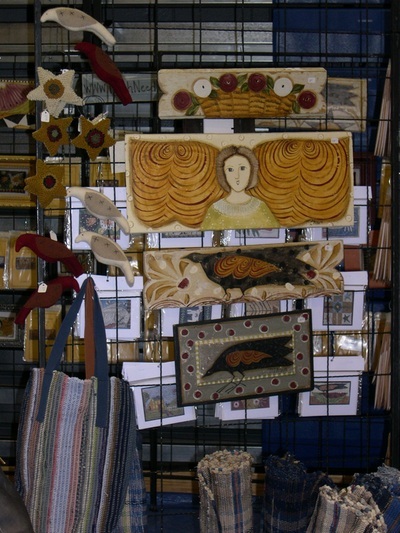 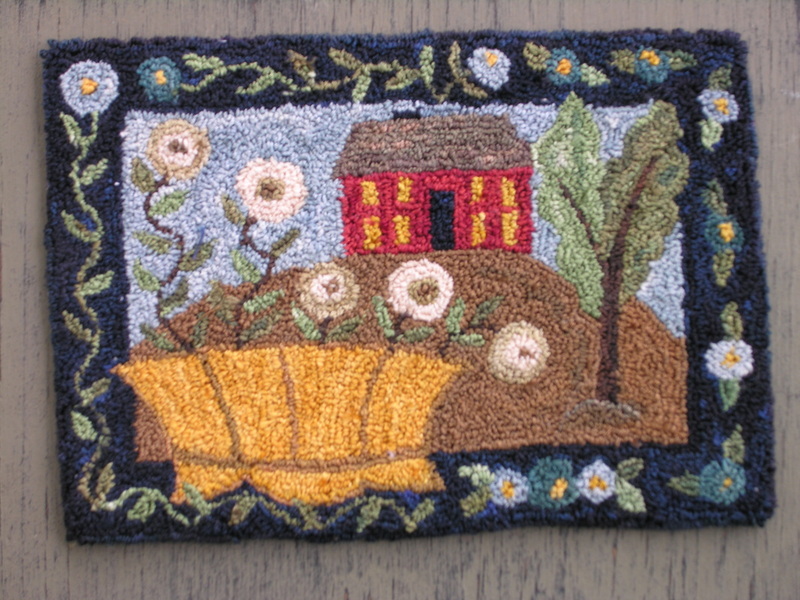 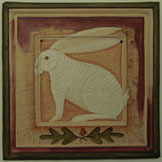 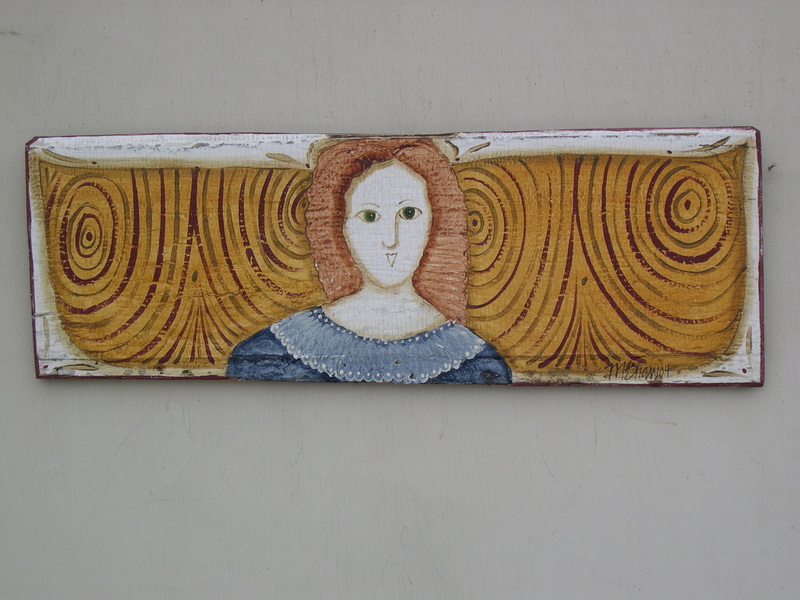 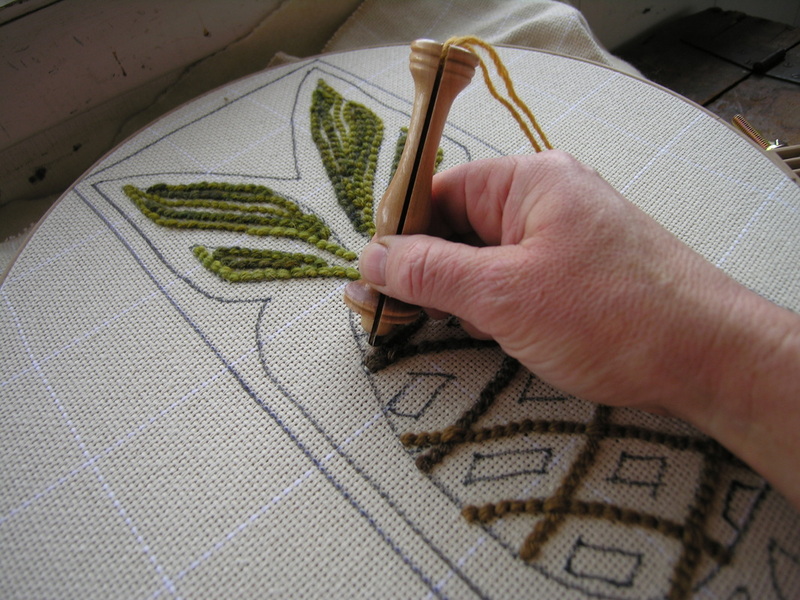 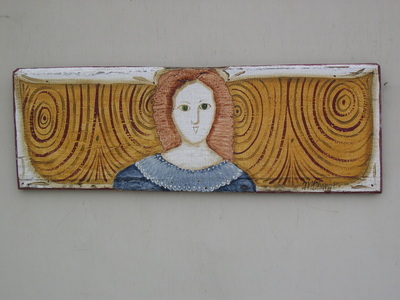 hooked rug designed by M Shaw framed in salvaged door frame wood. 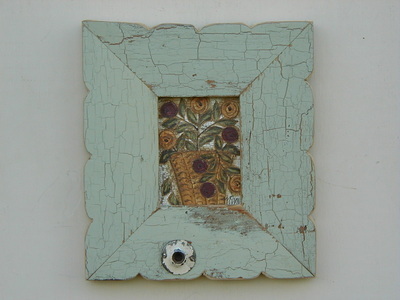 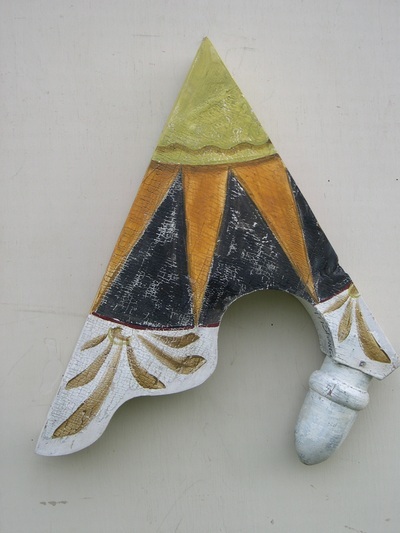 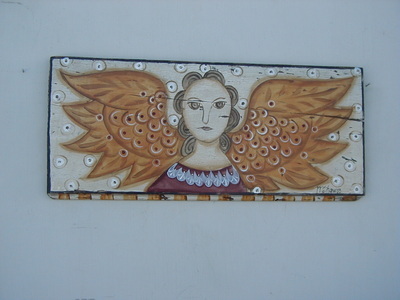 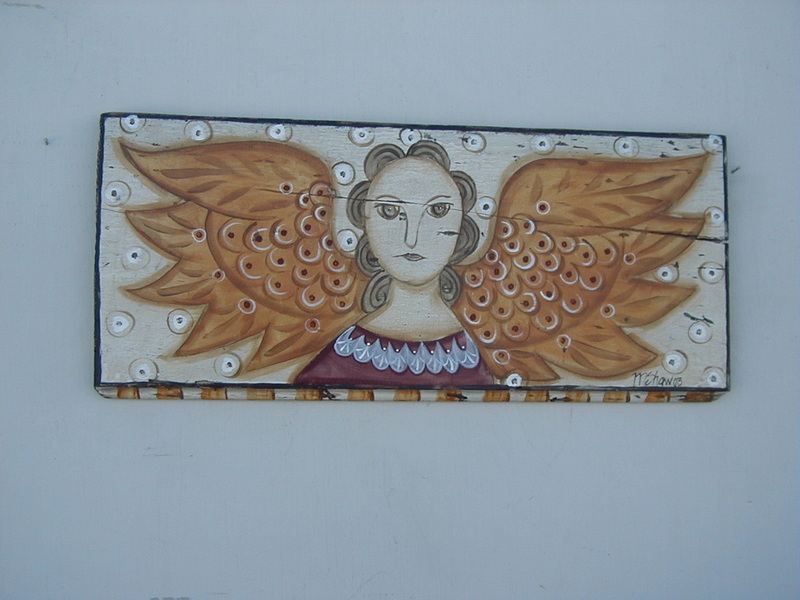 painting on section of old door, edged pinked. 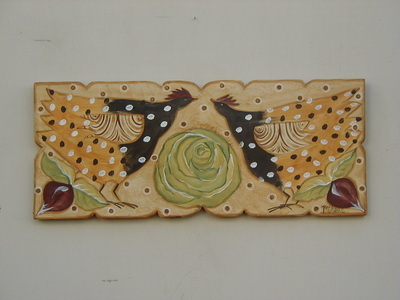 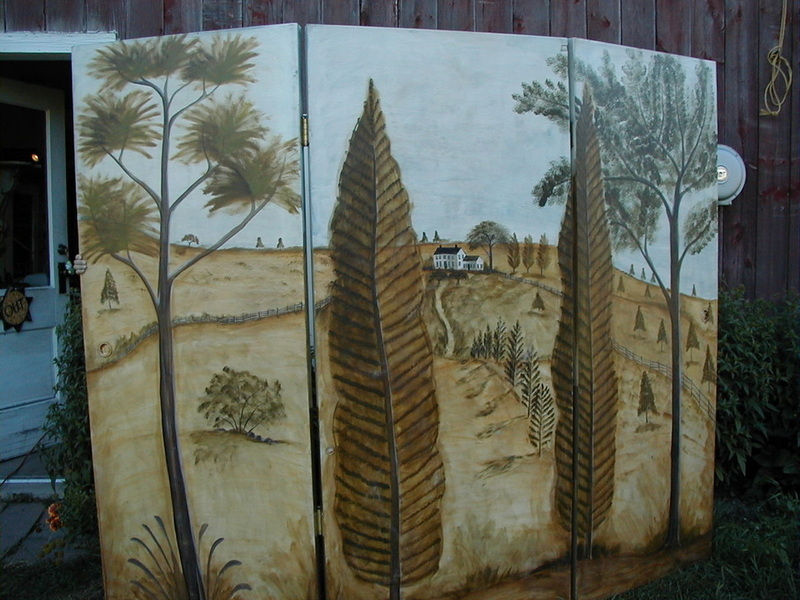 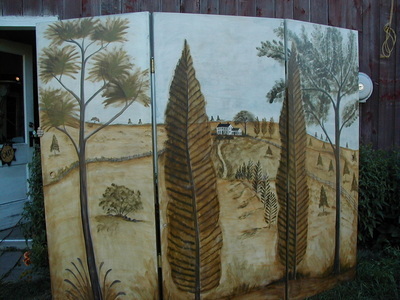 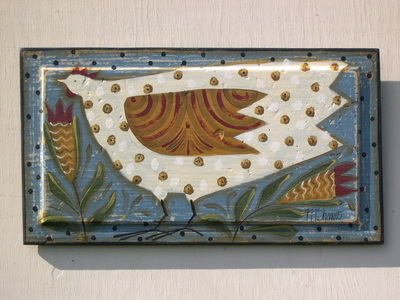 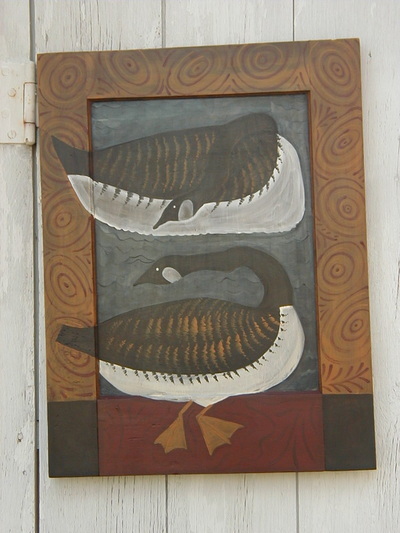 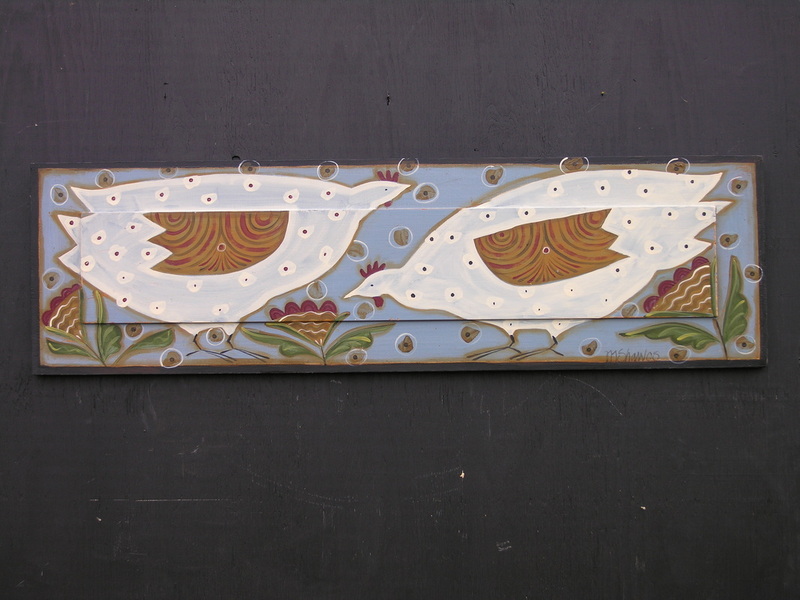 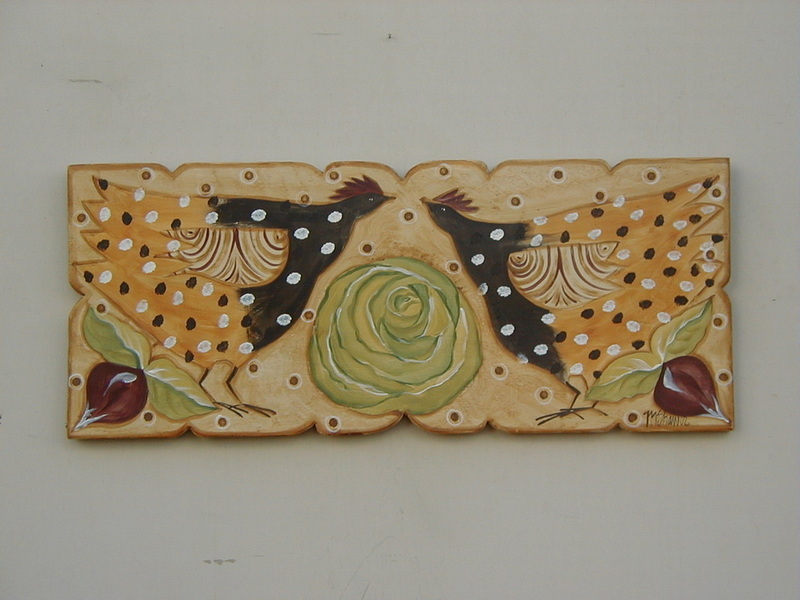 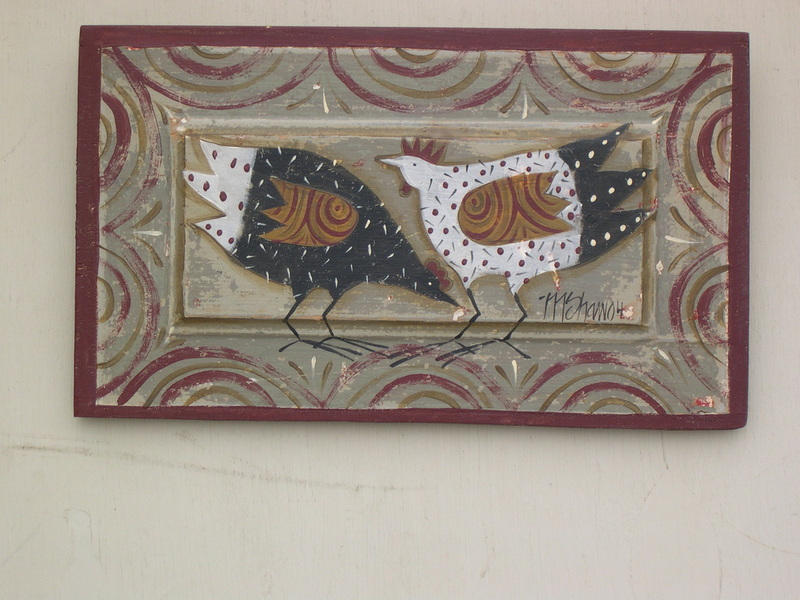 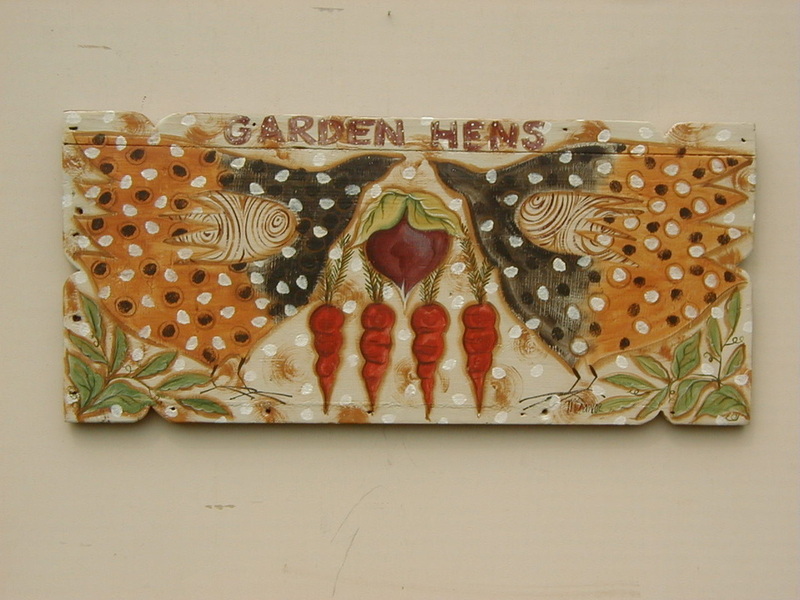 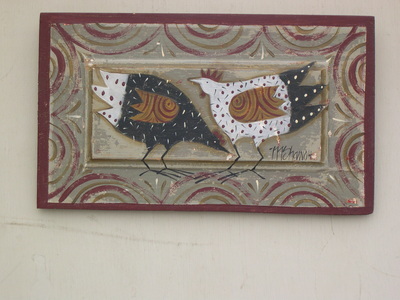 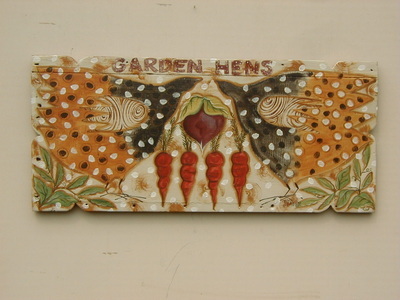 geese painted on salvaged cupboard door panel. 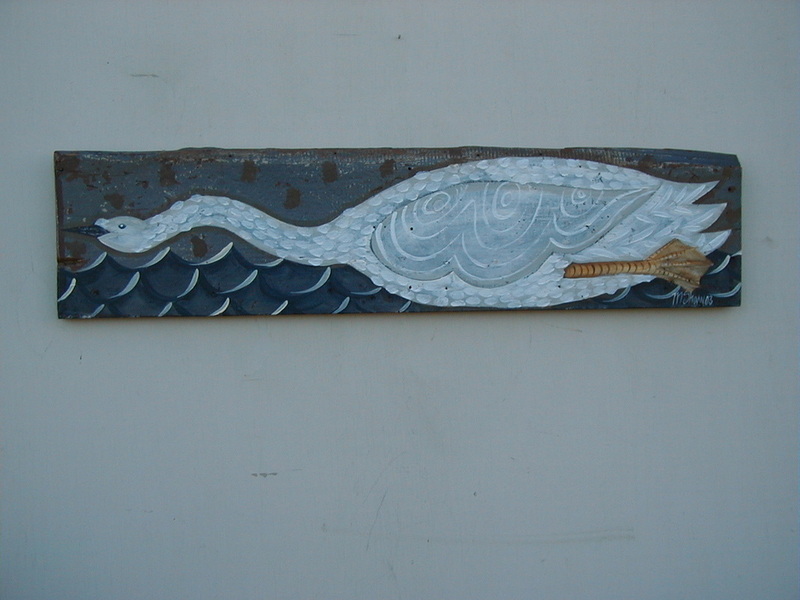 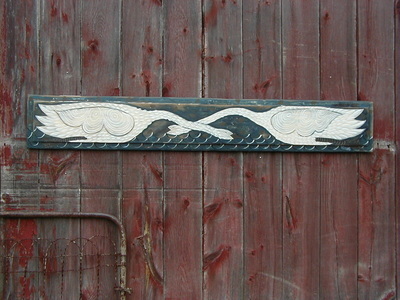 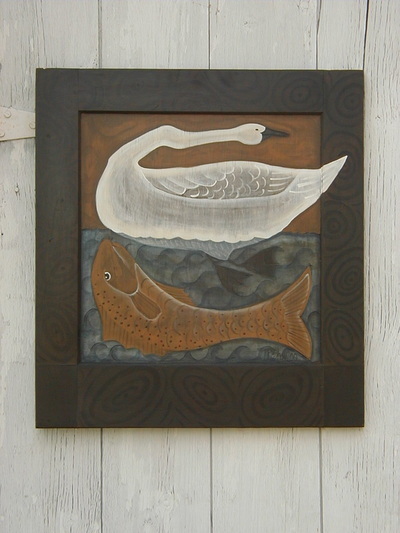 swan and fish painted on salvaged cupboard door. 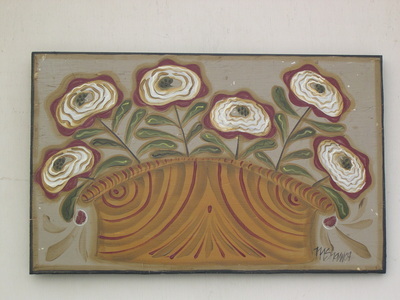 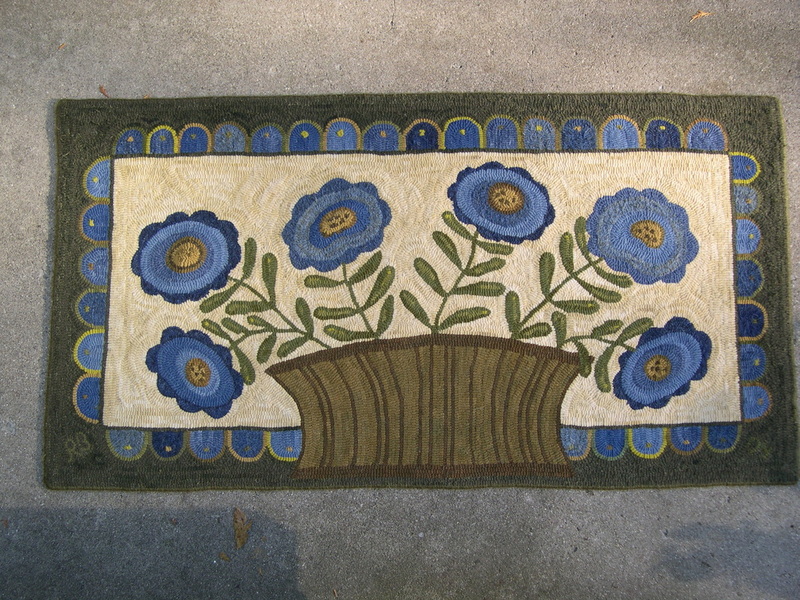 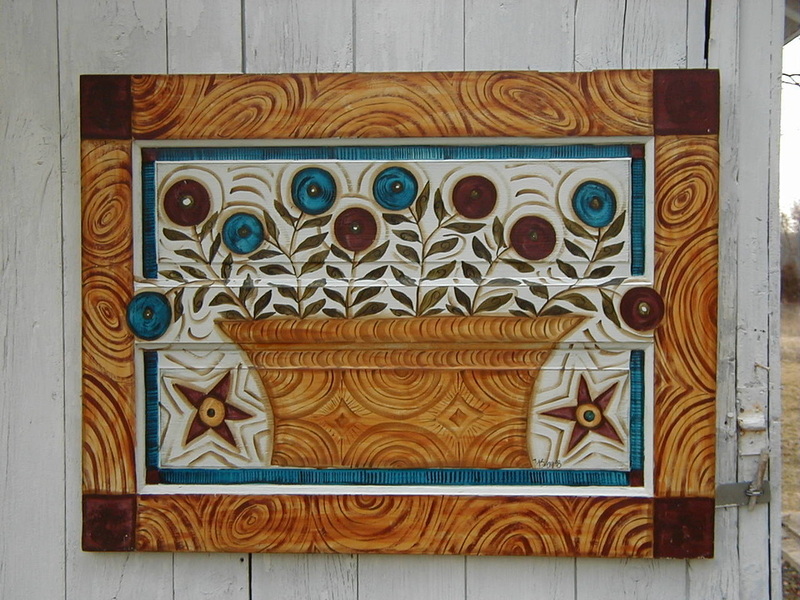 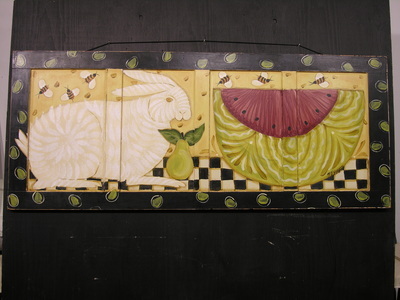 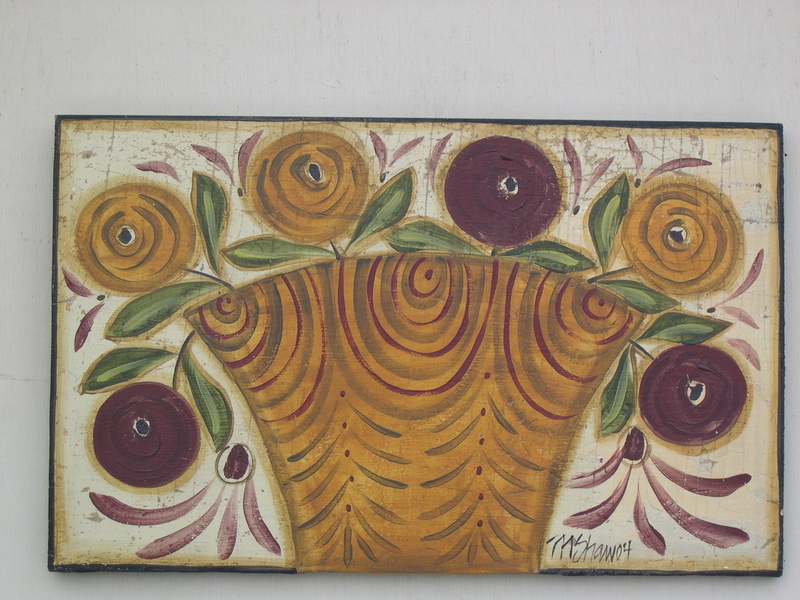 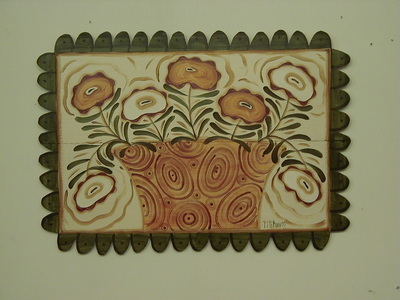 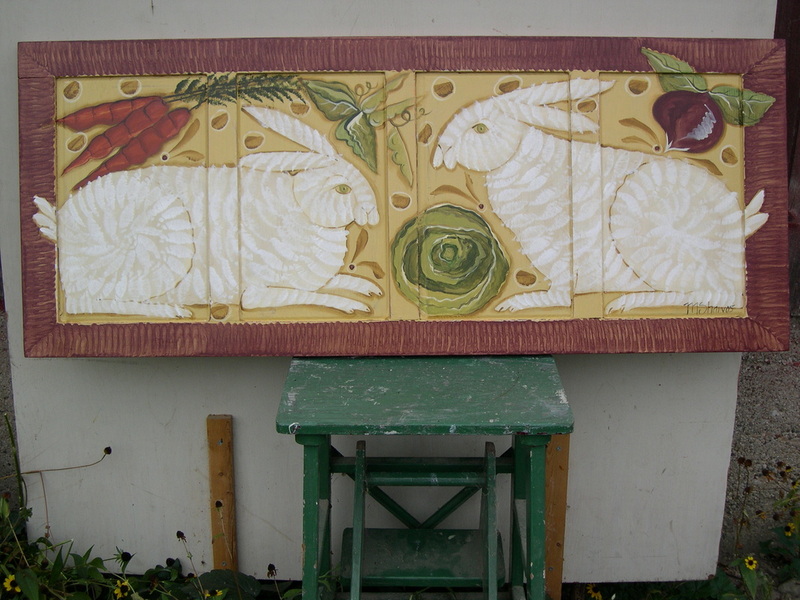 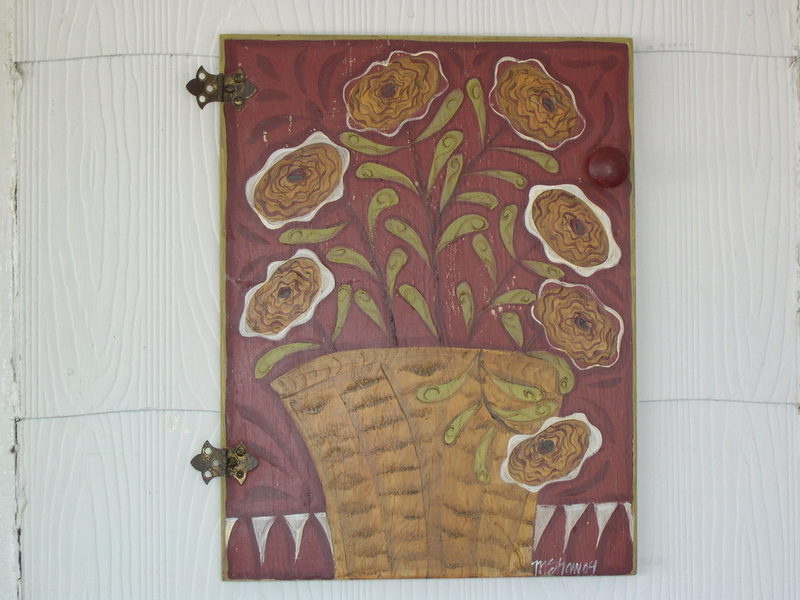 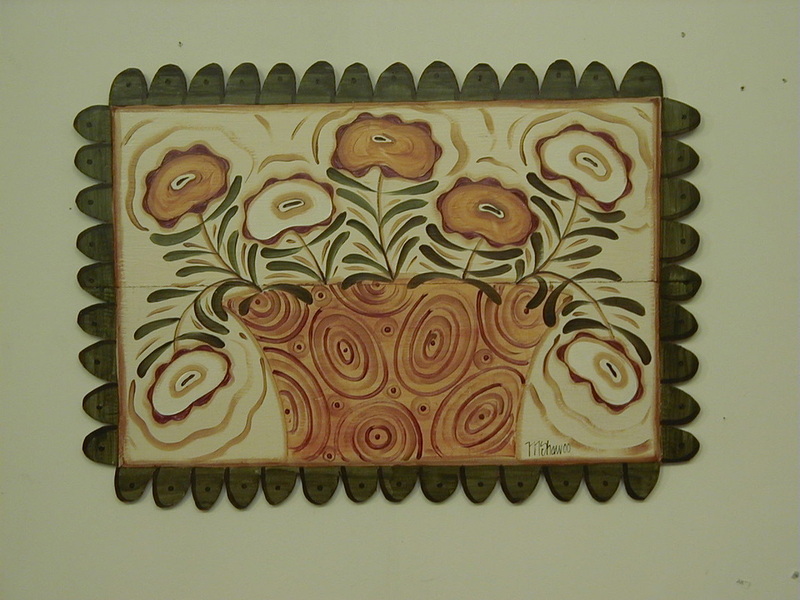 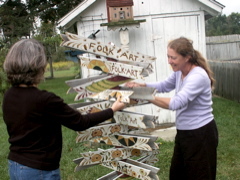 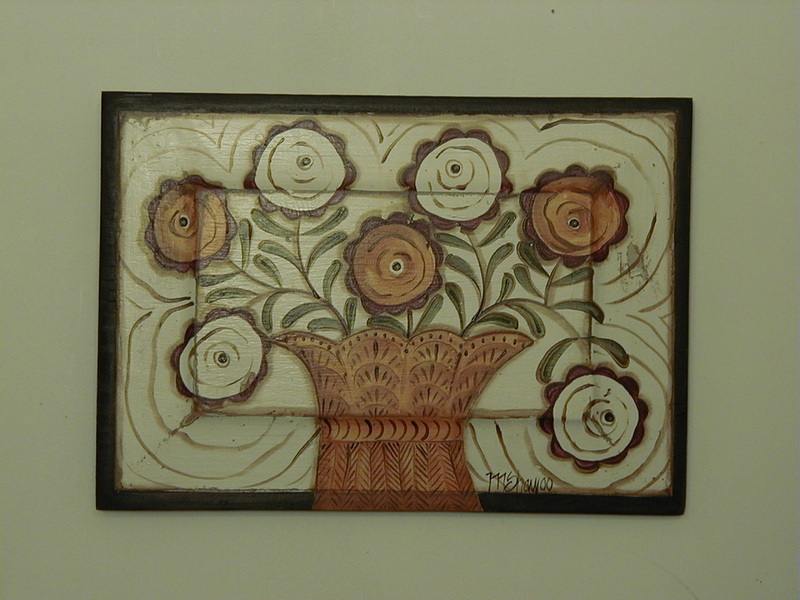 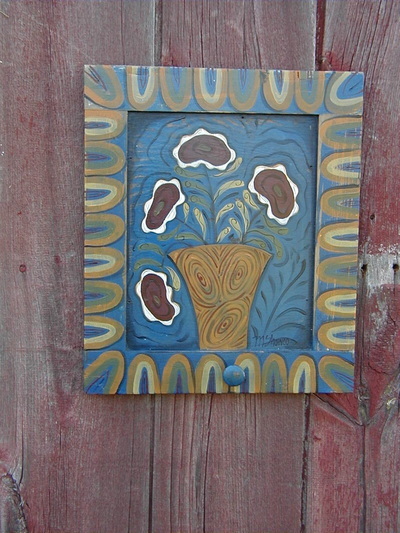 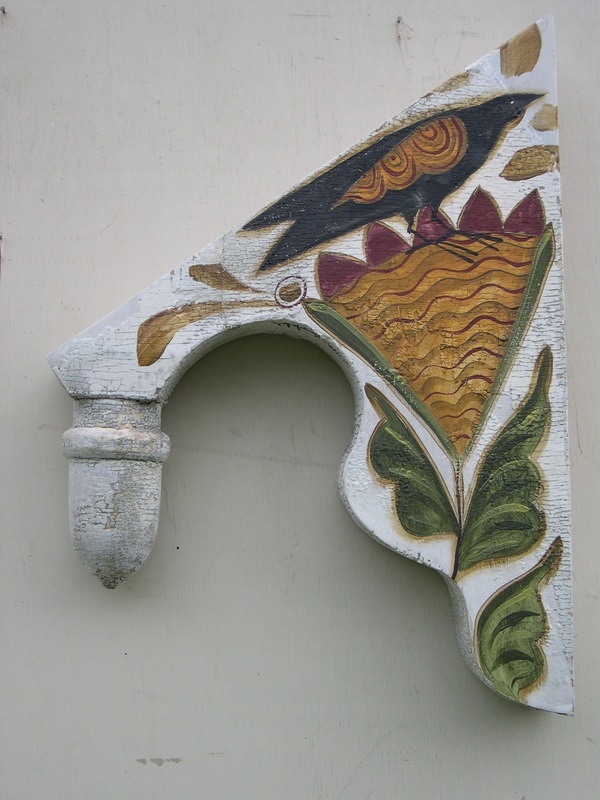 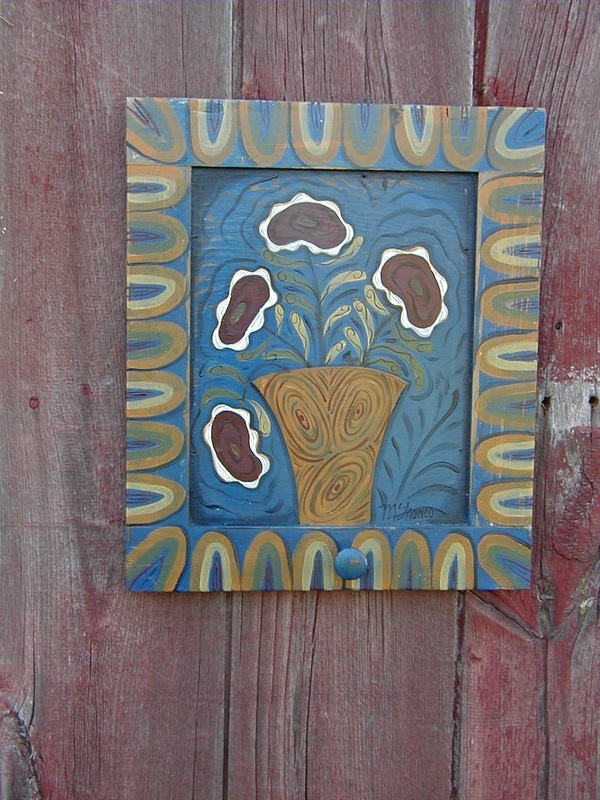 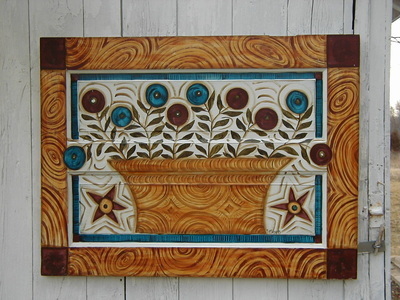 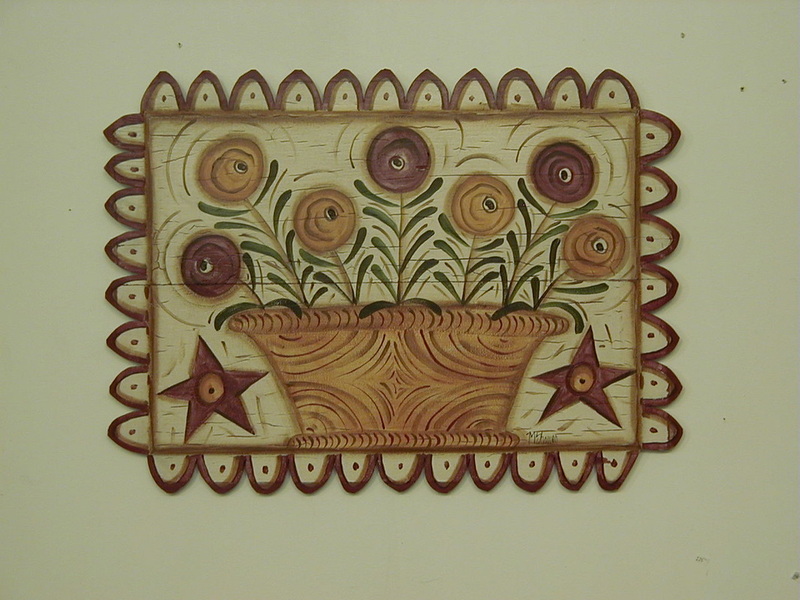 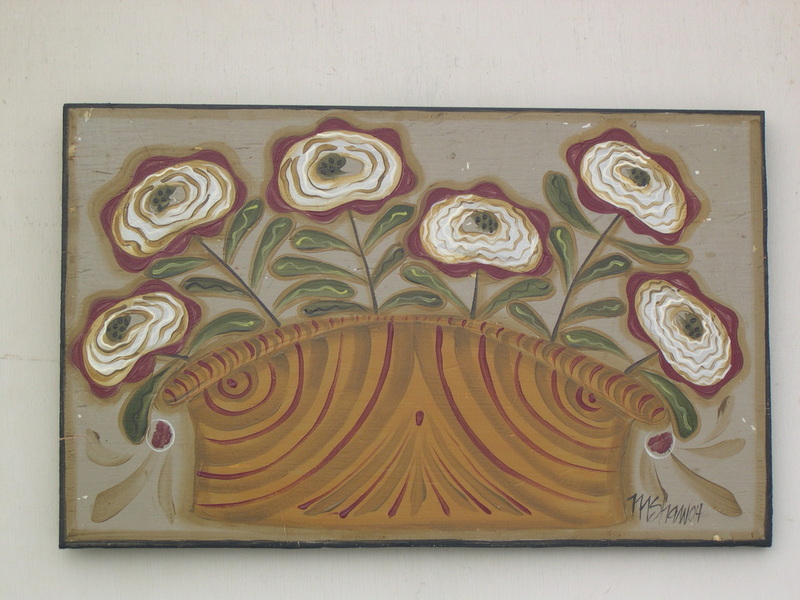 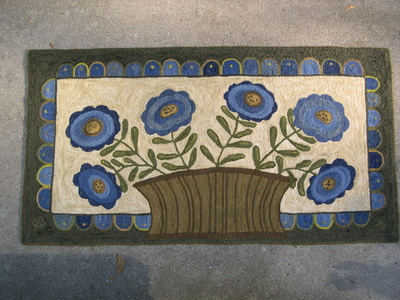 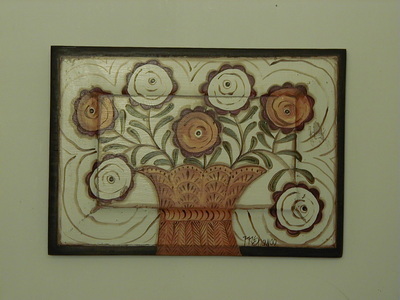 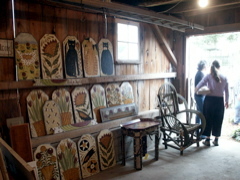 large flower basket painted on 1/2 of old door. 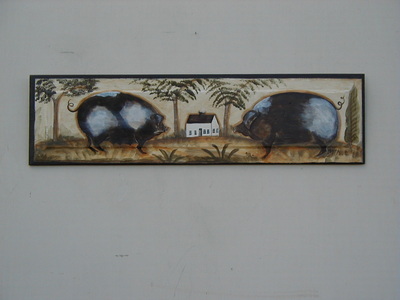 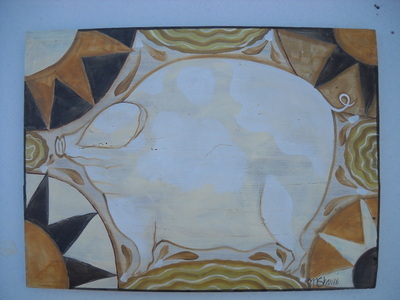 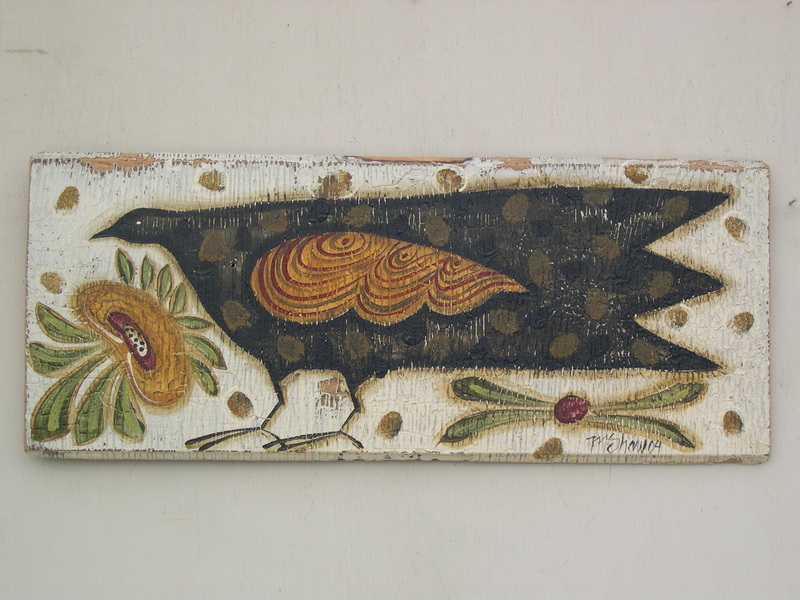 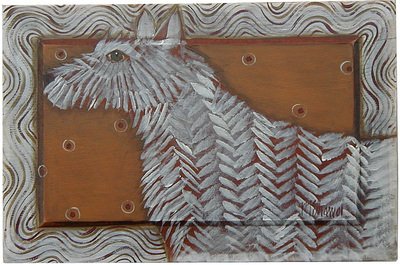 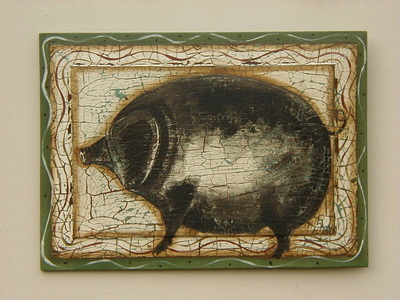 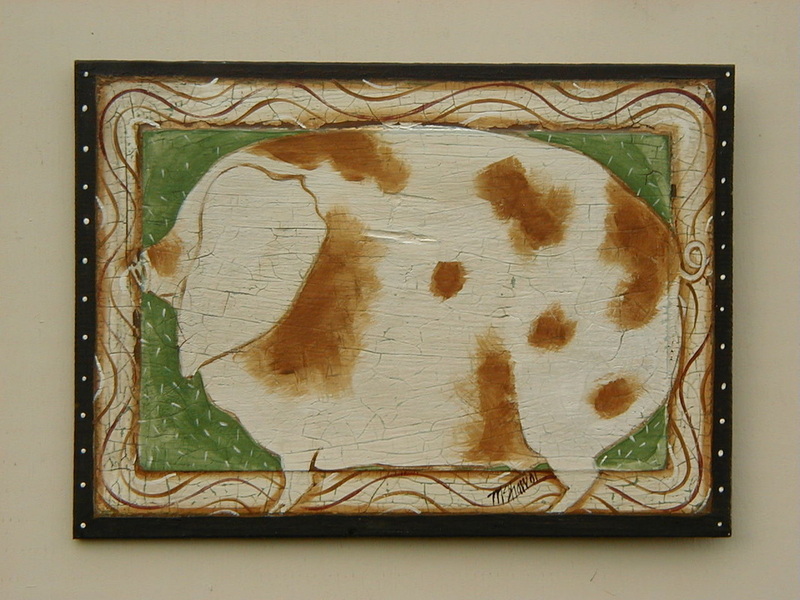 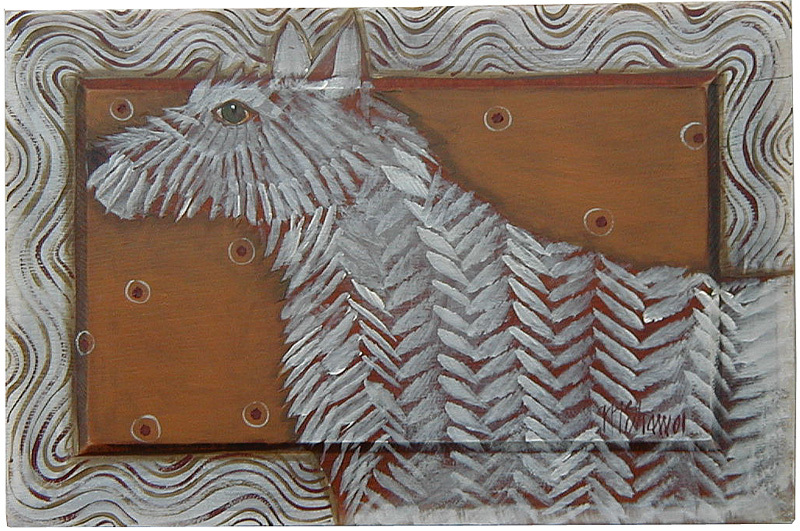 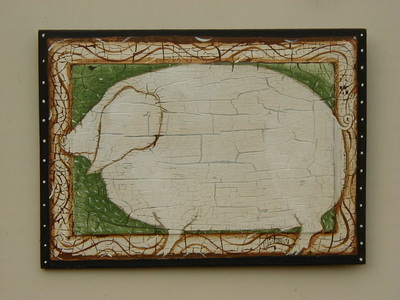 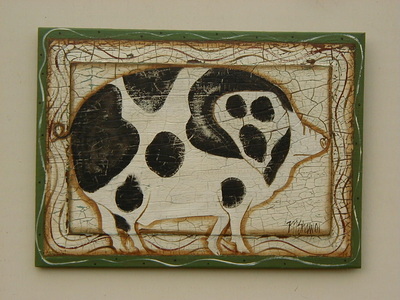 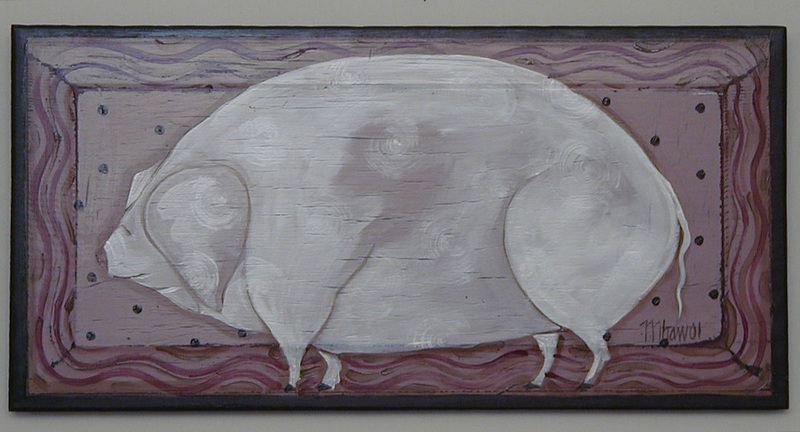 pig painting on old door panel. 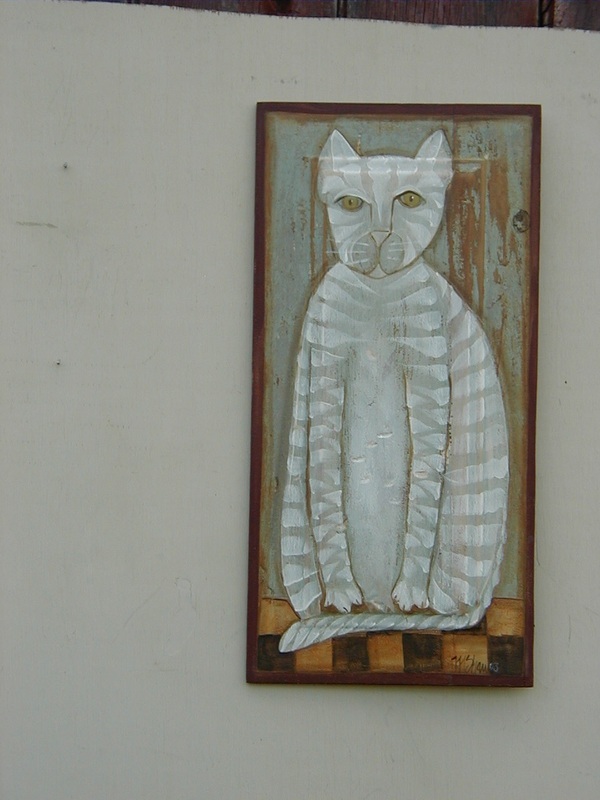 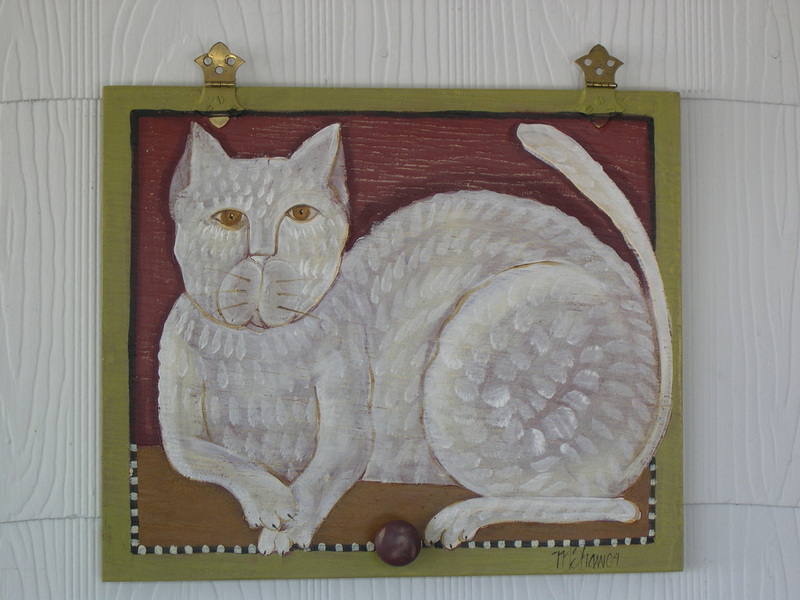 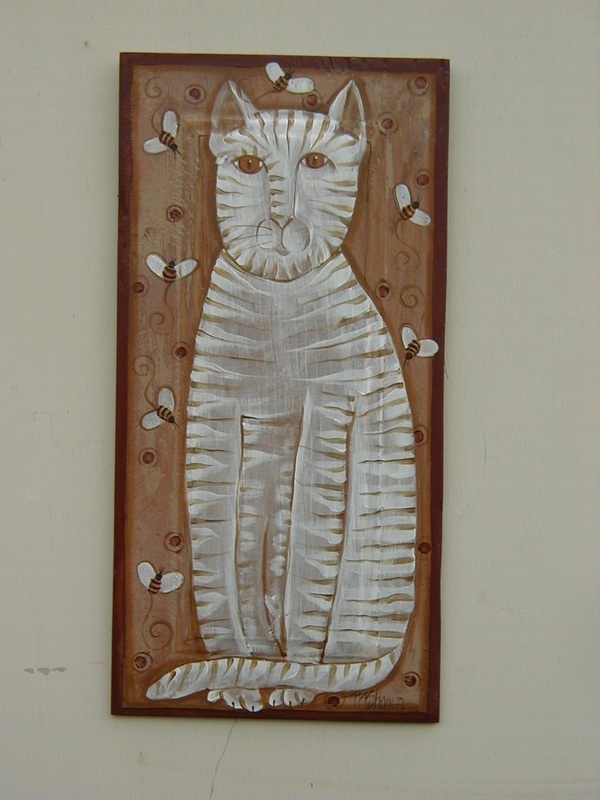 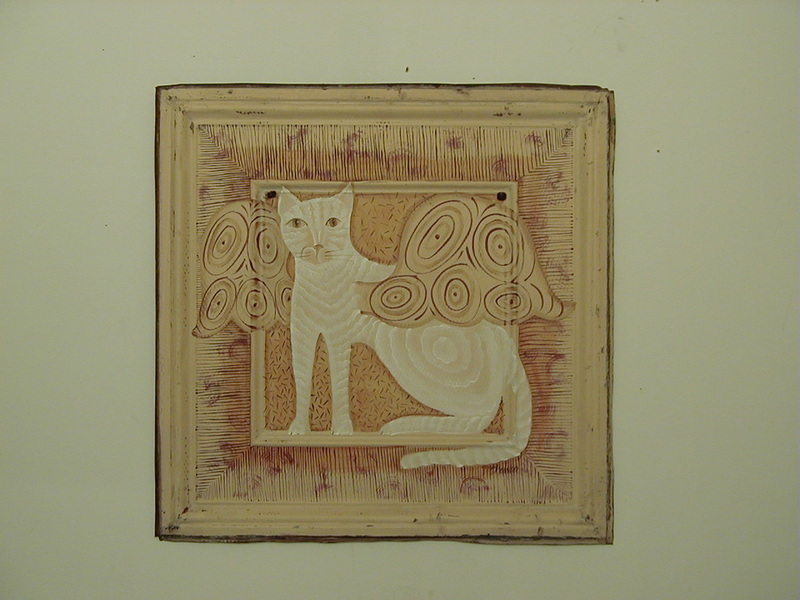 cat angel painted on 24"x24" ceiling tin panel.